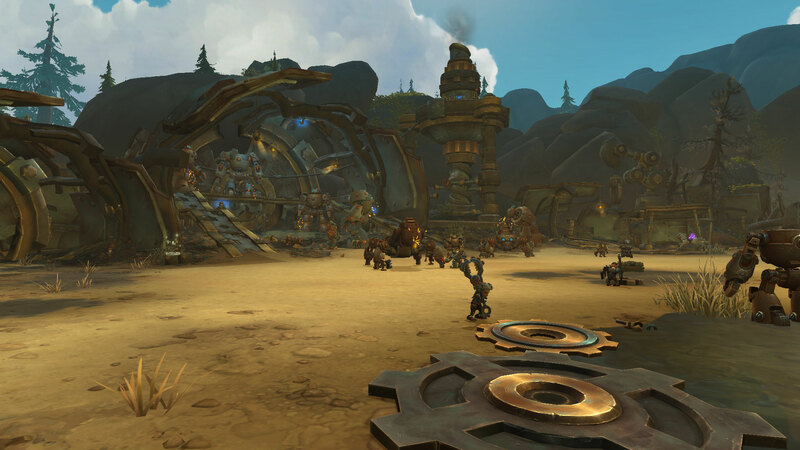 As always, Blizzard has changed up data formats again, no changes list just yet. Priscilla: We had a deal, Azshara! Give me the power you promised! Azshara: Oh, I intend to. I merely wanted our guests to bear witness to your glorious ascension. Priscilla: No! Not like this! What are you doing to me?! Azshara: You asked to be powerful, Priscilla. 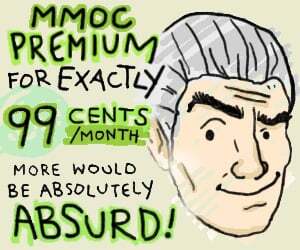 Consider our bargain complete. Puppets... fools. The Banshee baited you... to your own slaughter. 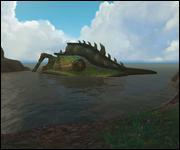 Ashvane spoke with a serpent's tongue, but... could she be right? 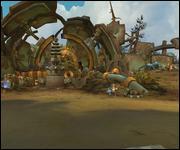 Were we lured to Nazjatar as part of some dark bargain? 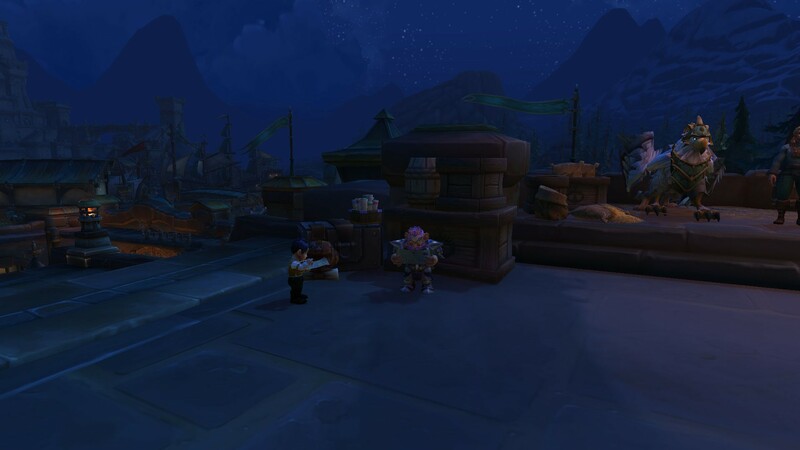 You... the ones who thwarted my plans in Boralus. But no matter. A new path now lies before me. Alliance... Horde... fools, every one! Fighting each other, blind to the true powers at play. But you'll learn soon enough. Ashvane means to hold us at bay. But I can sense fonts of magic close by that are feeding into this room. 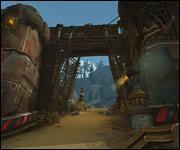 If we disrupt the flow of those channels, Ashvane's barrier will fall. The locks weaken. The world screams. 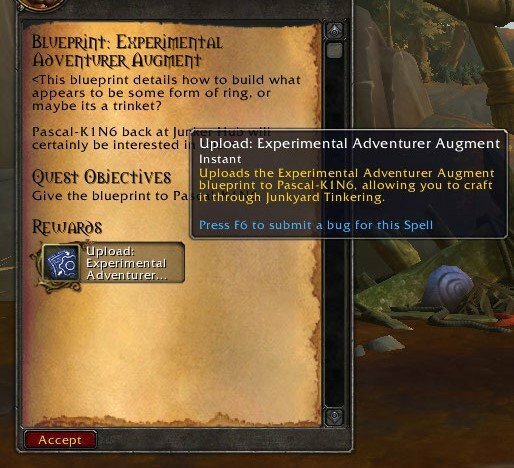 Azshara wants us to see this. Why? Surely she knows we would never let that monster free! There is no time to warn the others! We must end this, champions... now! 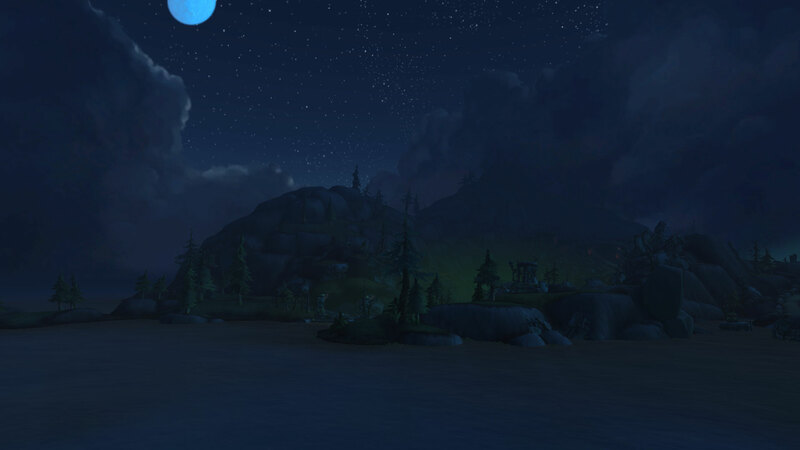 Azshara: Exploring my kingdom, I see. I almost envy you... beholding such grandeur for the first time must be inspiring indeed. Azshara: Do you think you take a single footstep in the heart of my empire without my knowledge? You only exist here because I allow it to be so. 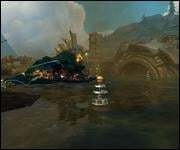 Azshara: Bring our guests to the palace. Do not keep me waiting. Once we reestablish the network, I should be able to communicate with you through these devices, champion. How quaint of you to restore these remnants of a simpler age. Azshara! She has found us. This is my realm, child. 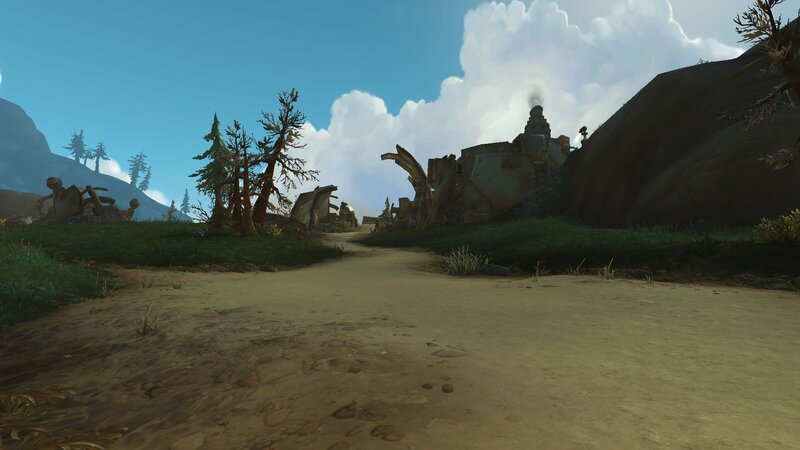 Not so much as a single spell can be cast in Nazjatar without my knowledge. I am First Arcanist Thalyssra of Suramar, and you are not my queen! Zin-Azshari is wondrous to behold, but do be careful. It would be a pity for you to suffer harm before I can grant you a proper audience. We should move on, $n. 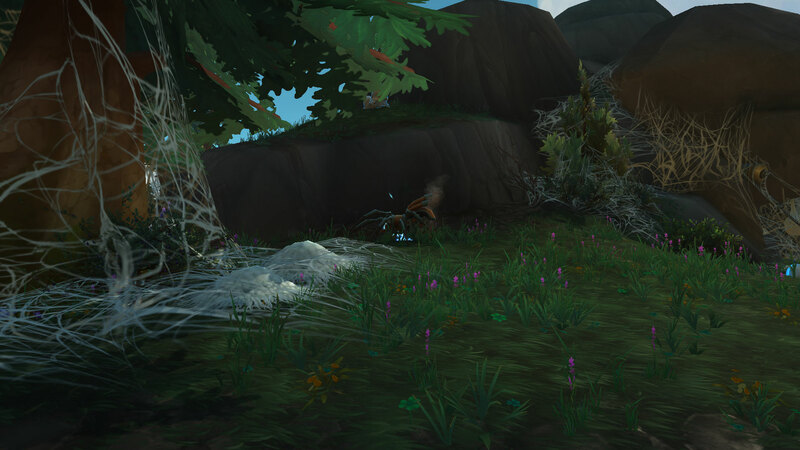 Azshara's preening must not distract us from our goal. 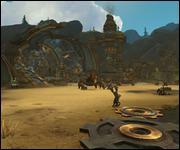 Zin-Azshari was once the capital of the night elves' empire. These buildings have existed for millennia. We are fortunate, as this means there are ancient mechanisms that allow for stable portals. 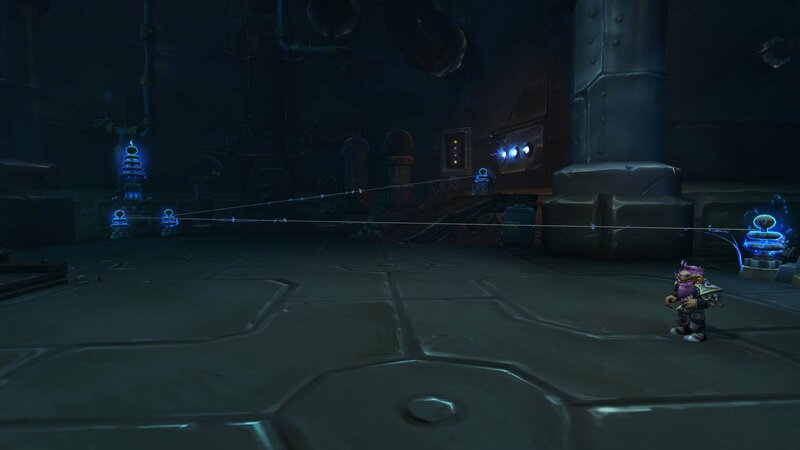 Queen Azshara might block my spells when she is here, but these devices allow us to overcome that. Thalyssra. So the Horde sends its sorceress to plunder the treasures of Zin-Azshari--and seize the Tidestone for your warchief, no doubt. Would you entrust it to Tyrande? Perhaps she needs it to invoke yet another forbidden ritual. It breaks a queen's heart to watch her subjects squabble. Such a futile argument. In the end, you will all be mine again--one way or another. Though our kingdoms stand divided, we share contempt for you, Azshara. You see? We have found common ground already. Dear children, it is only a matter of time until you kneel before my throne. As a willing subject... or a broken corpse. 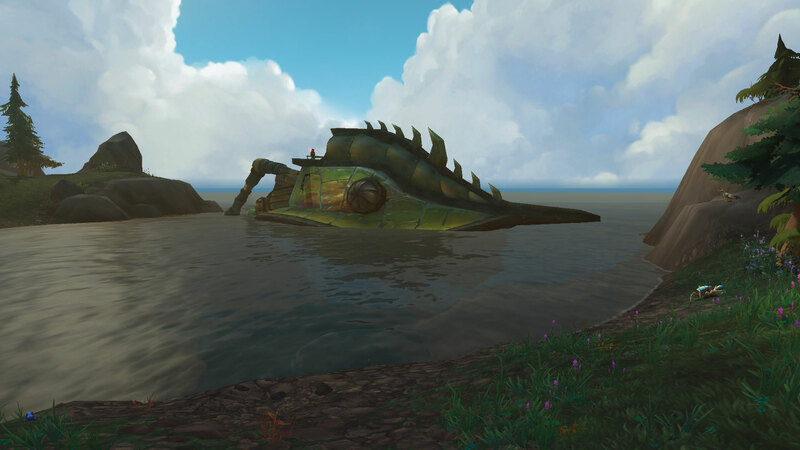 So long as Azshara controls the Tidestone, she has the advantage over us. Its power should be turned against her--not against each other. Agreed. 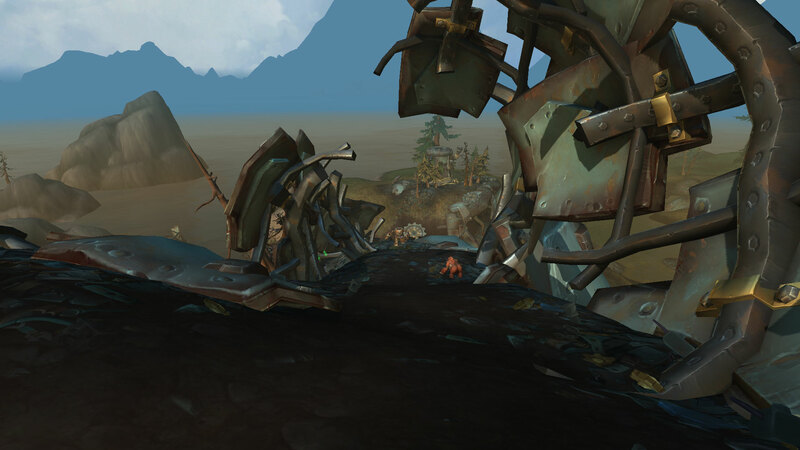 Perhaps these ruins hold the key to striking down our common foe. Ah, you have arrived, as timely as ever. They seem to be spoiling for a fight. We have business with the Tidestone. I would advise you to stay out of our way. We will not get another opportunity like this. 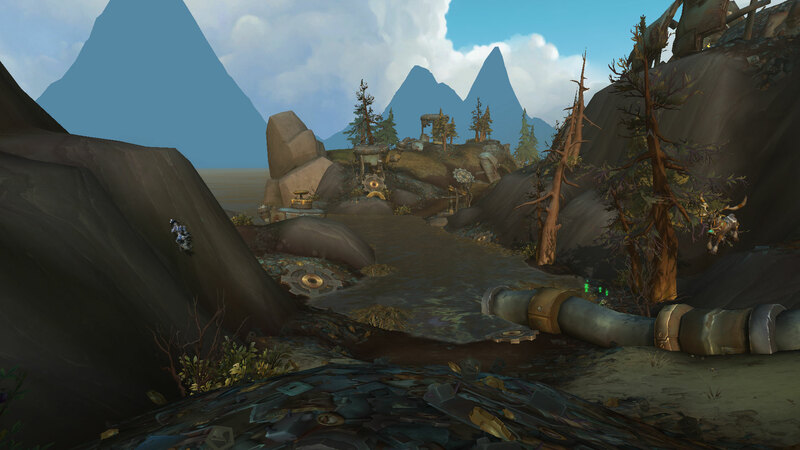 We must seize the Tidestone from Azshara's grasp. Their champion carries the Javelin of Suramar. We might as well listen to what they have to say. I never expected to set eyes upon this city again. Azshara. She sacrificed her people twice over. Once to the Legion. The second time to N'Zoth. My sweet child. As a general, you should be familiar with sacrifice. A leader must ever serve the greater good. "Good"?! What "good" is there in offering up your people to an Old God? In seeing them transformed into monsters? Such a pity. It seems you do not yet understand. Not to worry. Very soon, you will. I tire of her toying with us. Come. We must push deeper into Zin-Azshari. First Arcanist, there is little our troops will be able to do against the guardian. We shall assault the nearby naga camp to buy you the time you need. 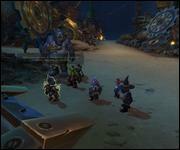 Jaina, our troops stand no chance against the Tidestone's guardian. Lor'themar and I will deal with the rest of the naga while you confront her. Very well. Lady Proudmoore, you and I should be enough to distract the guardian long enough for our champion to breach her defenses. We stand a better chance working together. Your plan does have merit. Let us be done with this quickly. Very well. We do face a formidable opponent. Be warned that if I catch even the scent of treachery, I will tear you to shreds. A sound plan. But if you dare double cross us, you will not escape retribution. Strike now, champion! Throw the Javelin! What have we here? 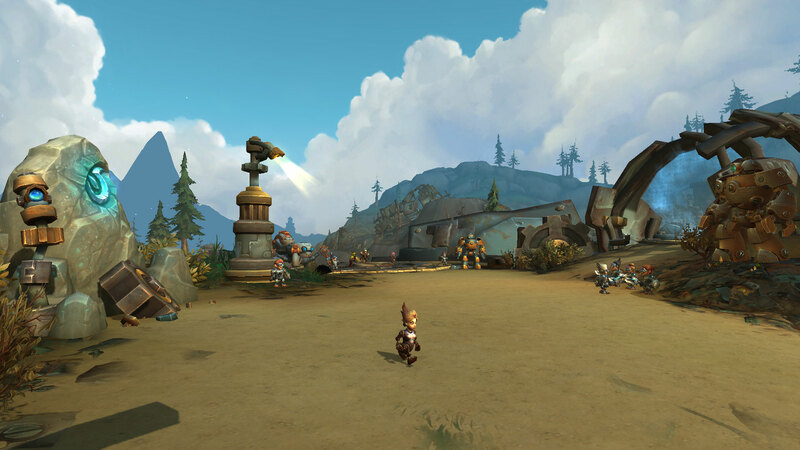 A champion of Nazjatar versus a defiant outsider. High drama indeed. You refusal to bend the knee offends my loyal subjects. This one wishes to teach you proper respect. One of my champions seeks to earn glory in my name. It would be cruel of me to deny them this opportunity. This should be an entertaining test of skill. My chosen champion against... you. My servants are so eager to meet our guests. I do hope you enjoy their... attentions. You seem restless, landwalker. Allow your queen to provide some entertainment. My subjects seek to earn my favor by collecting your head. Who am I to refuse their loyalty? Perhaps your continued survival has made you complacent. A test of your resilience is in order. My subjects seldom face a true challenge. You will try to provide them with one, won't you? Such a disappointing performance from that underling. I must be sure to arrange a more suitable challenge for you. Surely you must realize the futility of resisting me. For each minion you dispatch, two more take its place. Ah, thank you. By culling weakness from my ranks, you only make my kingdom stronger. This changes nothing. You will kneel, and I will rule. Such perseverance! A noble trait... that will be bent to serve my will. What a shame... I was fond of that one. You will, of course, answer for your insolence. Savor this small victory. It may lessen the bitterness of your inevitable defeat. An impressive display of heroism. Perhaps you will prove worthy of serving me after all. Another victory... interesting. One day, I may allow you to serve as my champion. Such a devoted servant. So willing to die in my name... and so many others eager to take their place. 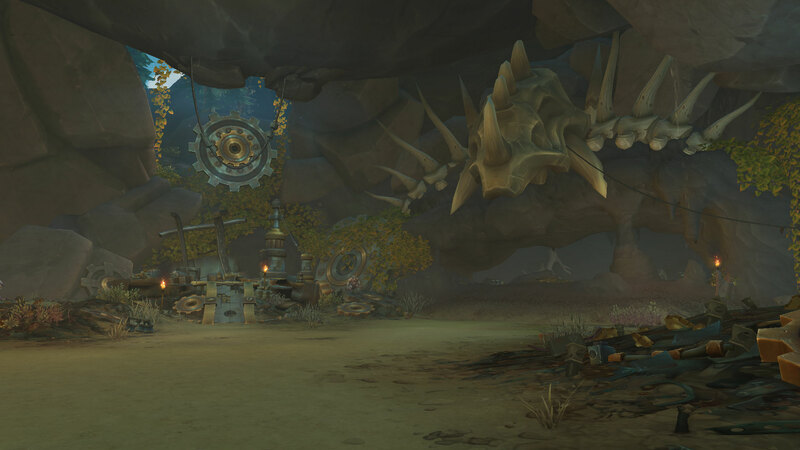 Azshara has minions across every stretch of the sea floor. The Azsh'ari are vile summoners, calling the tides to do their bidding. Those that wield the power of the void call themselves the Shirakess. But the Zanj'ir are the ones who should worry you the most. They hide something powerful within their military stronghold. We need to know more about our enemy and their dark experiments. I am providing you a telemancy beacon. It should teleport back any void experiments you find. The naga have long tampered with powers better left alone. 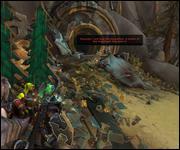 First she tampered with fel magic and broke the world. Now she tampers with the void and risks breaking it again. 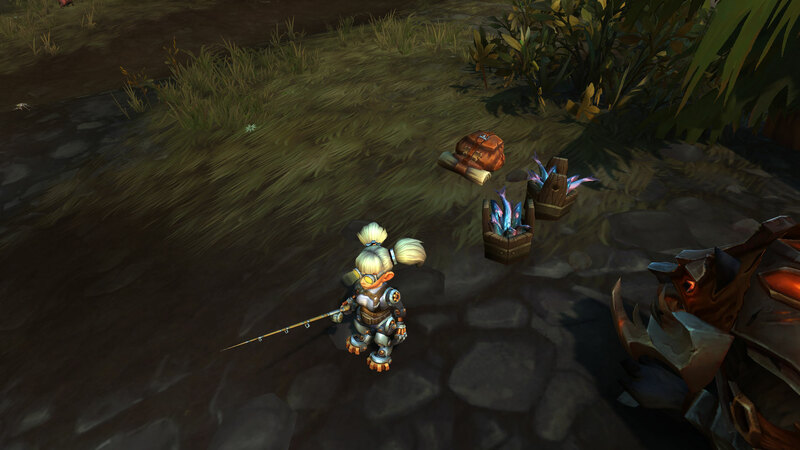 Azshara is a prideful fool who never learns. The naga have been repelled for now, but more are sure to come. 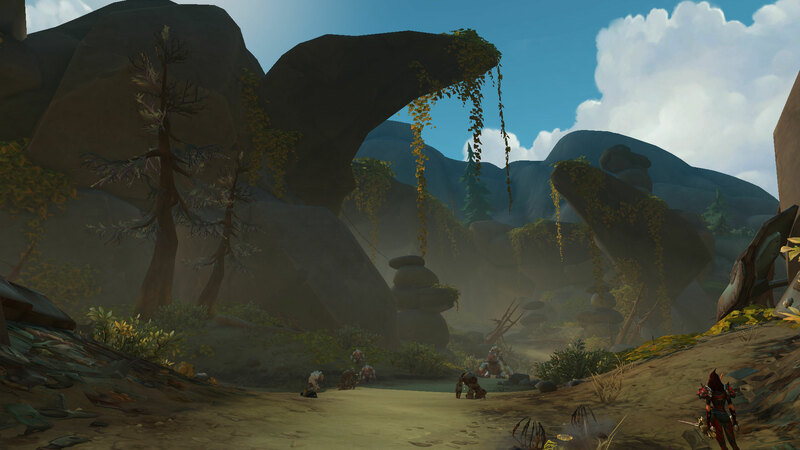 We can keep the brunt of her forces engaged here while our champions pursue Azshara. 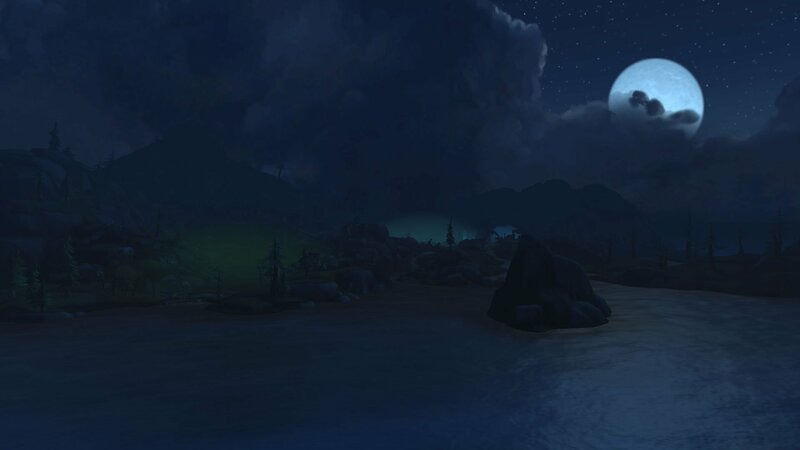 Shandris, Thalyssra, you know better than anyone what Azshara is capable of. Go with our champions. Help them find her. Good luck... to all of us. The Tidestone of Golganneth! That must be how she was able to part the sea! The naga incursions must have been a distraction. But if the Tidestone can manipulate that much water, we are all in grave danger. She could flood Nazjatar in an instant. We cannot allow that to happen. We must find a way to break the barrier and secure the Tidestone. Anduin: Jaina, $p. We are faced with a dire situation. 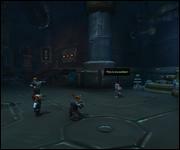 Anduin: Our spies report that the Banshee plans to execute Baine Bloodhoof. Anduin: Are you certain? It's an immense risk. 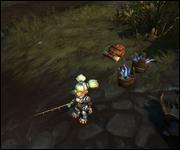 Jaina: Baine defied his warchief by returning Derek to us. He's risked more than anyone. 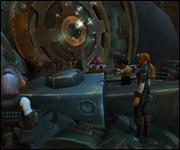 Jaina: I know how hard it is to offer an open hand when the rest of your people have drawn swords. 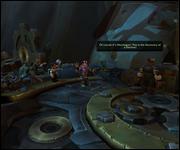 Jaina: If Baine dies, then the last of the Horde's honor dies with him, murdered by the Banshee Queen. 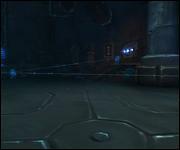 Jaina: We will have lost any hope of ending this war peacefully. And peace is worth the risk. Anduin: Thank you, Jaina. There isn't much time, so make haste. May the Light be with you all. 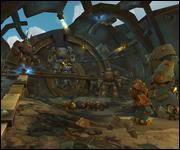 Anduin: My vision was of Baine. He was imprisoned alone, encircled by enemies. Anduin: A figure emerged from the shadows. The warchief. 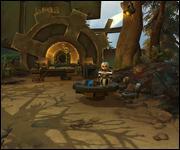 Anduin: She gave the word, and Baine... was executed. 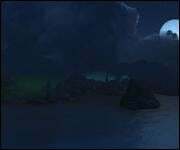 Anduin: The spirits whisper that he will be slain before the next sunrise. 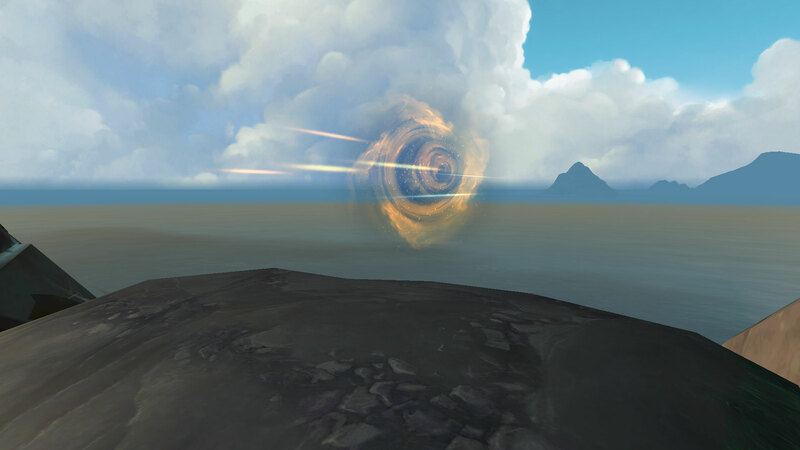 Anduin: So we are at a crossroads once again, and we have little time to make our choice. 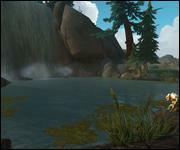 Lor'themar: Were it not for the Horde, the remaining sin'dorei might have died out against the Scourge. 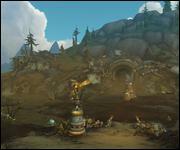 Lor'themar: Garrosh nearly severed the bond between us, but in the end it held strong. Lor'themar: Now that bond is threatened by another warchief... one whom I once knew well. 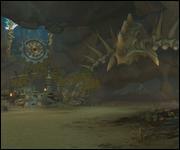 Lor'themar: My people will not abandon the Horde, nor will we stand idle as it is destroyed from within. 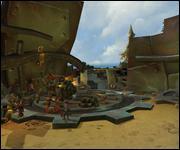 Lor'themar: Rendezvous with our allies and rescue Baine. We will deal with the consequences as they come. 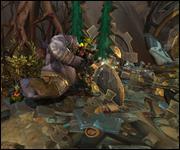 Baine Bloodhoof does not have much time. If we do not act, he will be executed. 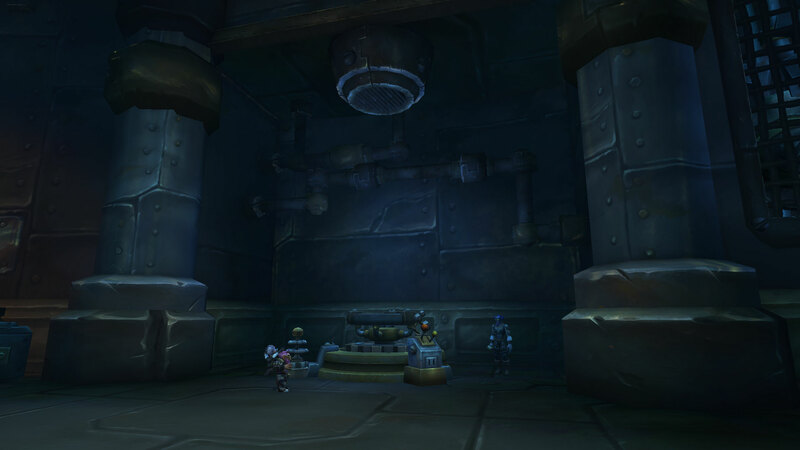 Baine is being held deep beneath Orgrimmar. This way. Can you get the gate open? I'll need time. 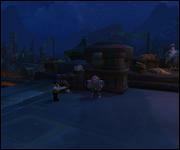 $p, you and Lady Jaina keep those Horde thugs at bay. Give me a moment to open the gate. Stand fast! More are coming! This is a tricky one. 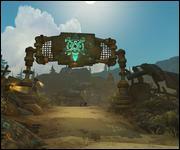 The Horde's locksmiths must be learning from the Zandalari. 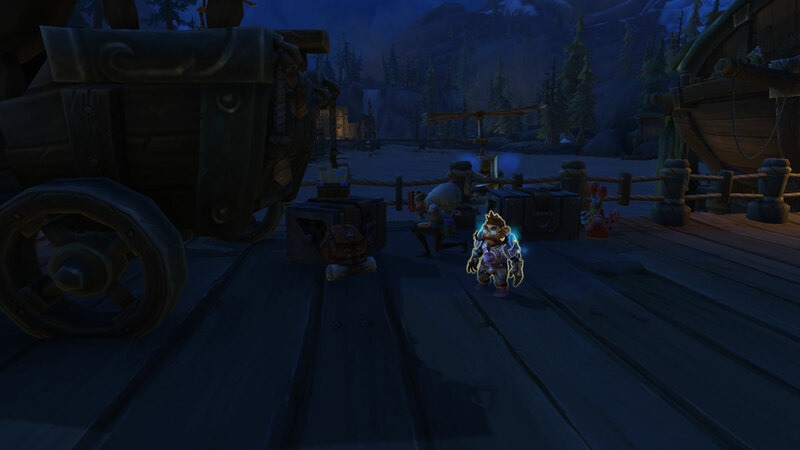 I imagine the locks securing Baine are even more advanced. If I can break into Rastakhan's treasury, I can handle Bloodhoof's chains. Someone's on the other side. The Alliance! That ain't no good surprise! Damn. They'll sound the alarm when they thaw. Baine might not have that long. Come on! With Saurfang branded a traitor by Sylvanas, the guards will attack us on sight. So we will avoid their notice. 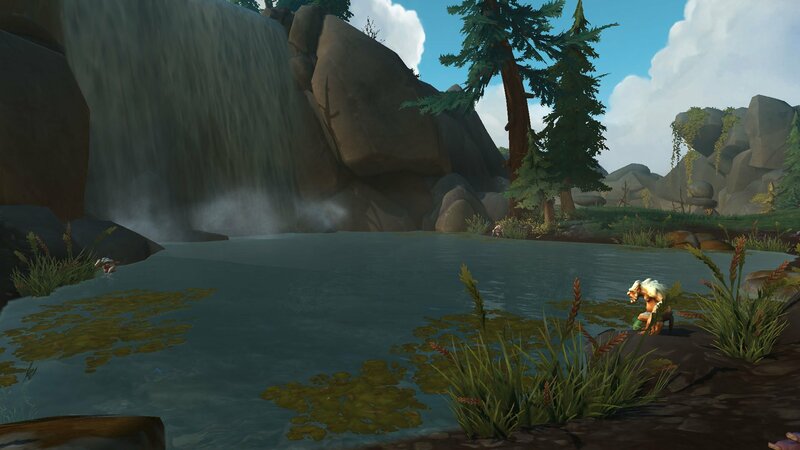 Rokhan's totem will grant us stealth for a limited time and even so wary guards may spot us, but I do not wish to leave a trail of bodies in our wake. They are still part of the Horde. Halt! This area is off limits! That's Saurfang! Kill the traitors! I did not expect the Alliance to be here. 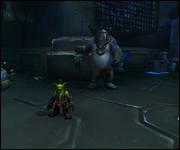 Not the first time we've had to move against a corrupt warchief. Or a sovereign king. Slain in his own home. A home that still stands. 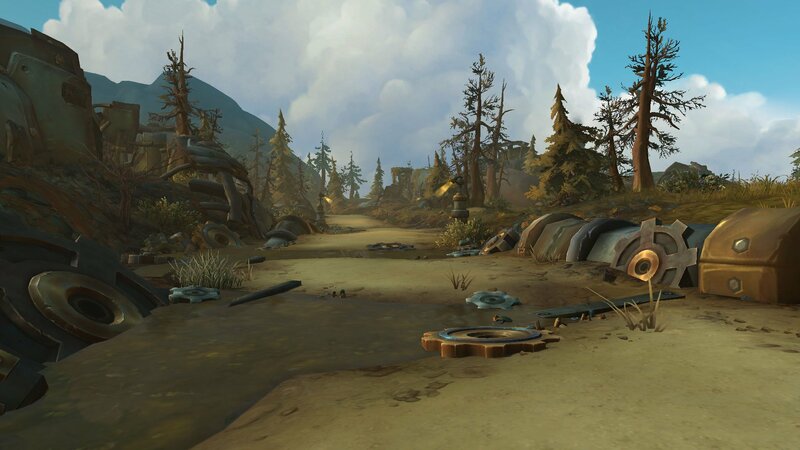 Can you say the same for Teldrassil? That is enough! We are not here to fight each other. Focus on the task at hand. 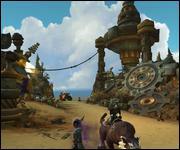 Baine's time grows short. 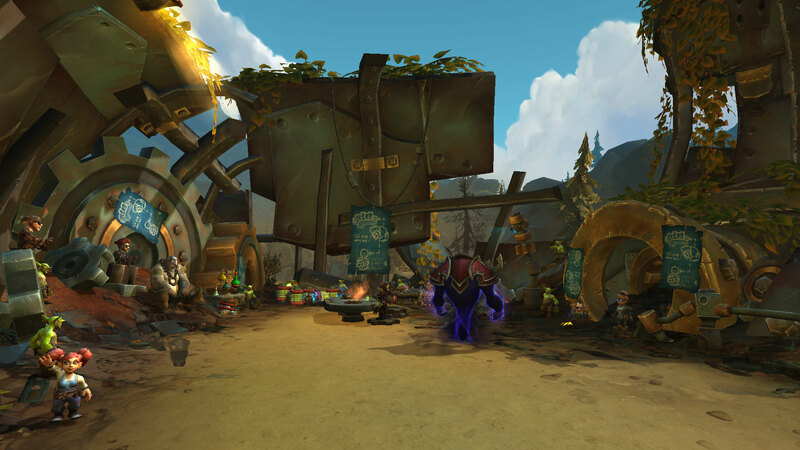 Baine should be just ahead. It seems we must get past her, first. 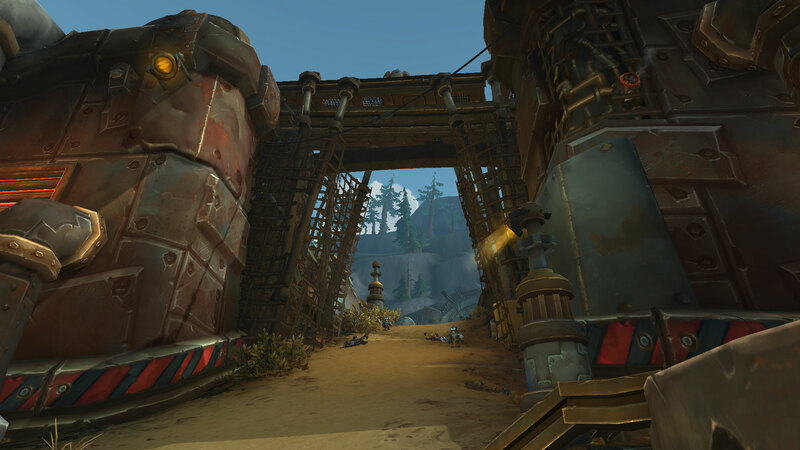 We will need an escape route once Baine is free. I can teleport us out, but not while the inhibitor crystals are active. Then we must destroy them. Go, $p! Thrall? Saurfang? Lady Jaina? Oh, no. 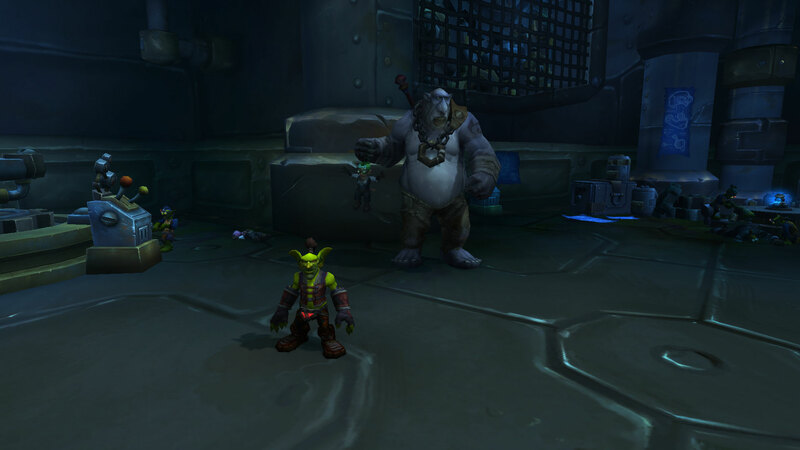 Baine my friend, we will get you out of here. The Alliance has agreed to help us. Ah. Right on schedule as Sylvanas knew you would be. We do not wish to end any more lives. 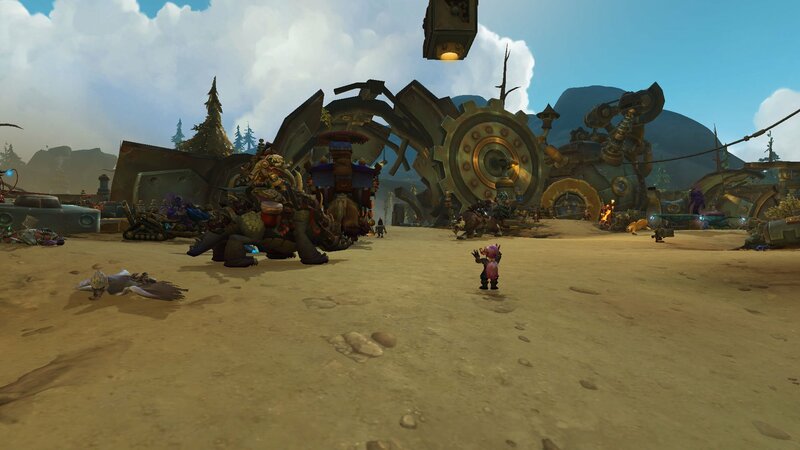 Let us take Baine and go. No, Traitor. Lady Proudmoore. Do you remember me? I am Magister Hathorel, one of the many innocent Sunreaver mages you sicced your Silver Covenant dogs upon. There was more violence than I had wished, but it was the Sunreavers who betrayed us, first. 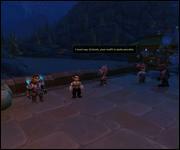 A few who were following the orders of their lawful Warchief. As I do now. I will hold the barrier. Kill them! Nathanos: So Lor'themar shows his true colors at last. 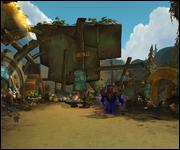 Nathanos: A pity he has sided with Baine, but I am not entirely surprised. This is not his first betrayal. Nathanos: Play along for now. I'll send word ahead. These traitors are in for a surprise once they reach Bloodhoof. 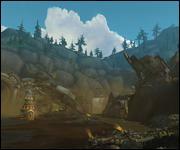 Nathanos: Saurfang, Thrall, the Alliance... it is vexing to know our quarry escaped. But we must trust in the warchief's plan. 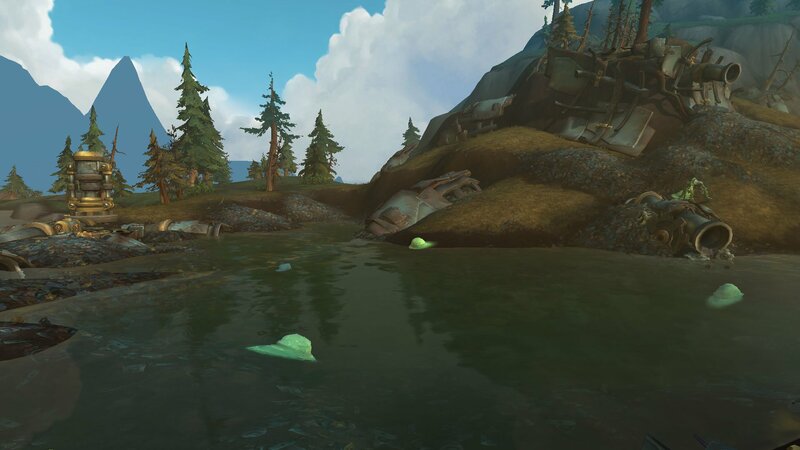 Nathanos: Soon your loyalty will face an even greater test. I do hope you prove worthy of the Dark Lady's favor. 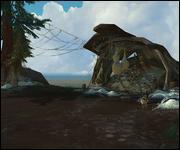 Nathanos: I have been recalled to Orgrimmar. 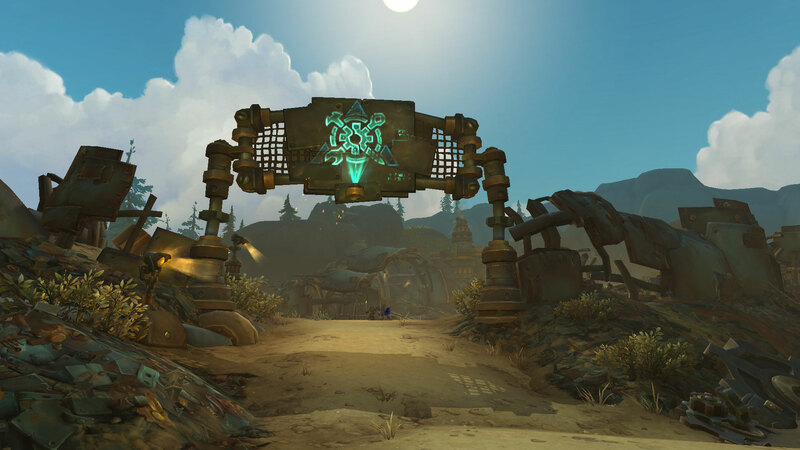 Remain in Nazjatar. Keep playing along with these traitorous vipers... until you are summoned. Good to have you back, Jaina. Why did King Anduin summon you? 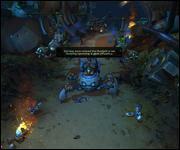 Jaina: Sylvanas ordered the execution of Baine Bloodhoof. Anduin sent us into Orgrimmar to rescue him. 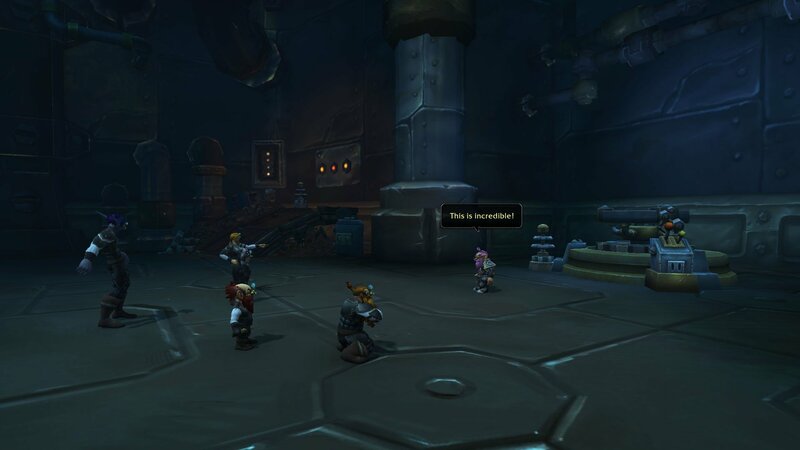 You risked your lives to save a leader of the Horde?! 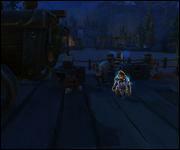 Jaina: After what he did for Derek, I felt I owed him a debt. 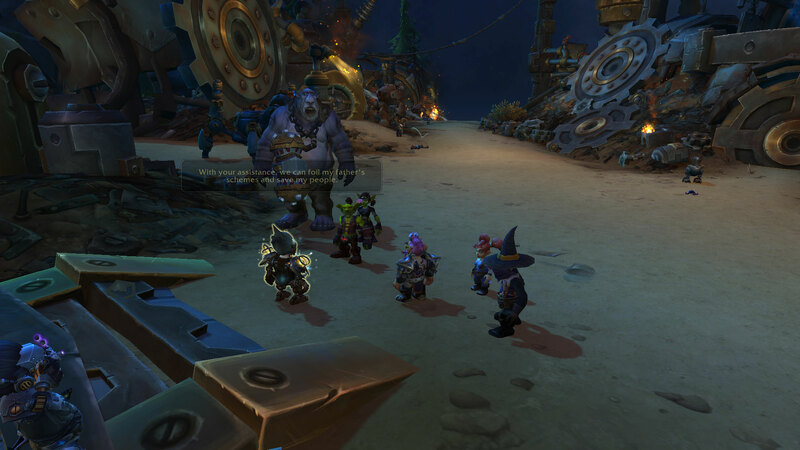 We received some unexpected help from Saurfang... and Thrall. 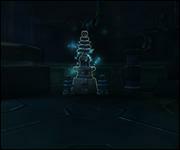 Jaina: You were fortunate that you were not betrayed. Presenting your heads might have regained their warchief's favor. Jaina: We had a common enemy. Sylvanas wanted us at each other's throats. Perhaps that's what Azshara wants, too. Hold on... Are you suggesting we lay down our arms and fight beside them? After all they've done?! Jaina: No. 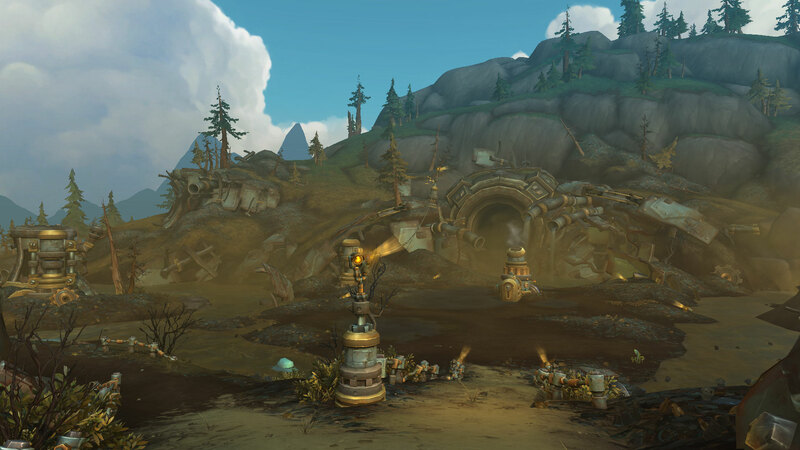 Merely that we direct our efforts against Azshara instead of the Horde. 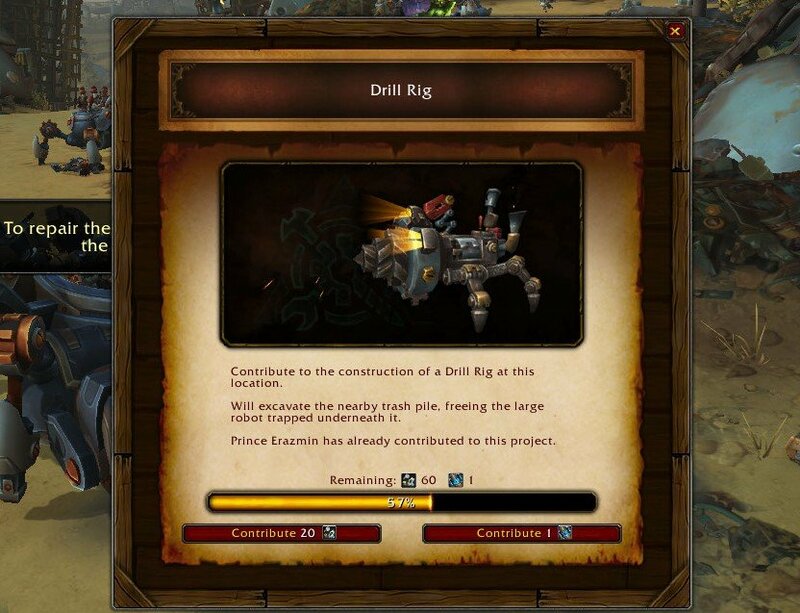 That could buy time for Saurfang's rebellion to take root. 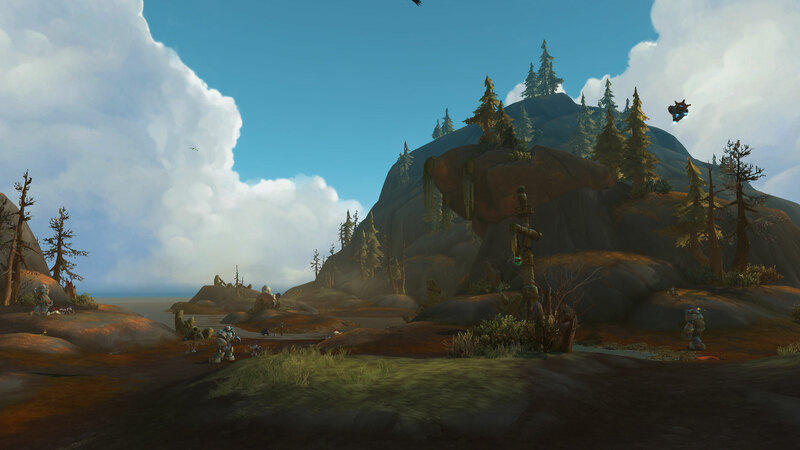 Jaina: There must be vengeance for Teldrassil. But if Azshara is not stopped, she will unleash her master upon the world. Very well. We will focus on defeating the naga queen. But if the Horde turns against us, they will answer for it. 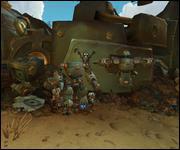 Proudmoore and Shaw risked their lives to rescue Baine? Unexpected. Thalyssra: Is it? 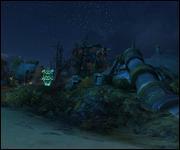 Not long ago, Alliance and Horde fought together to liberate Suramar from the Legion. Cooperation between our sides has been the exception, not the rule. More often, we are at each other's throats. 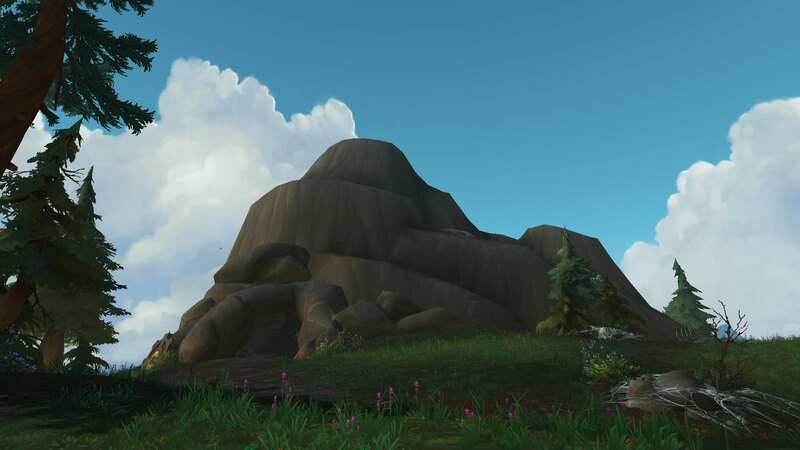 Thalyssra: His life spared for one he saved. Thalyssra: I am sorry for what happened to your people in Dalaran. The response was... Harsh. 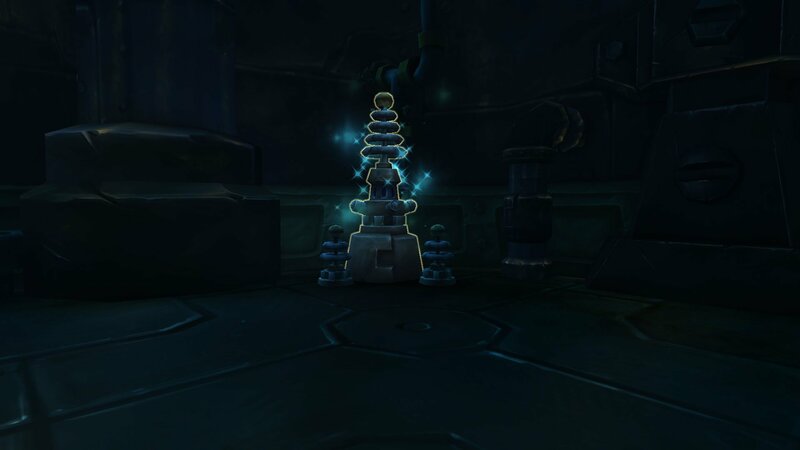 Thalyssra: Perhaps we do not need to. 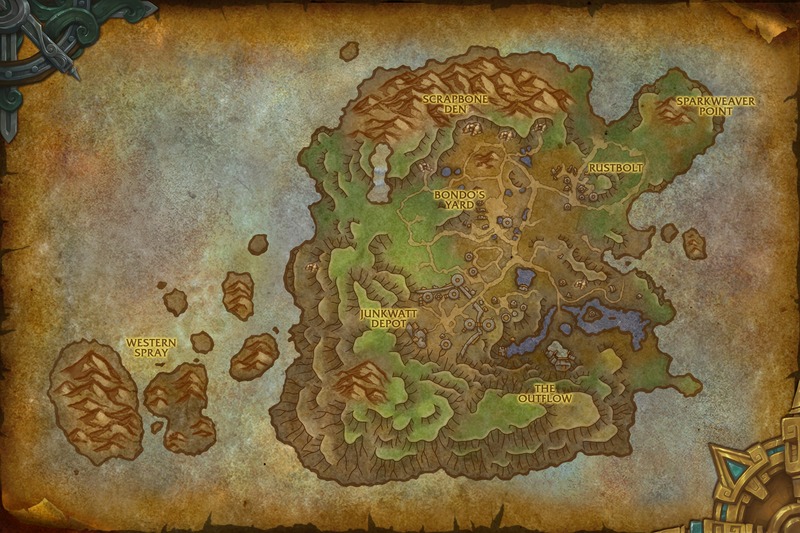 It might be enough to direct our attacks against Azshara rather than the Alliance. That plan would infuriate Blightcaller... which makes me like it all the more. Hmm... "It stops when you turn from one another and walk away..."
Thalyssra: Yes. We also have a history of setting differences aside to fight greater foes. A lesson once taught to Jaina Proudmoore and me. Your counsel is wise, Thalyssra. 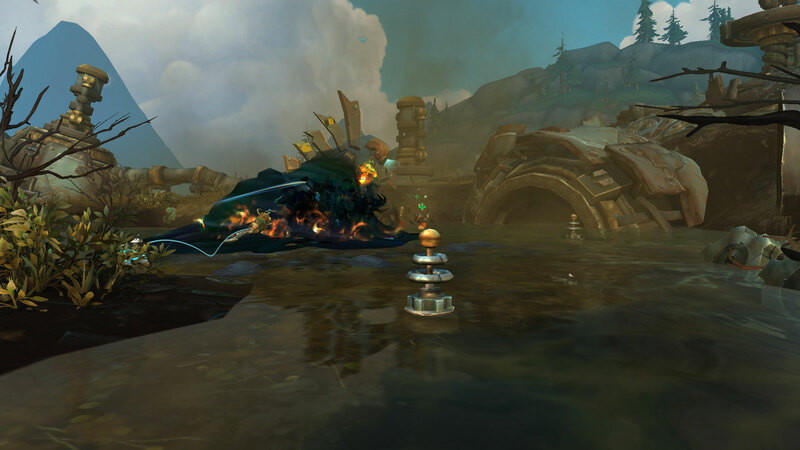 Our focus must be on ending Azshara's reign. Thalyssra: A truce then? 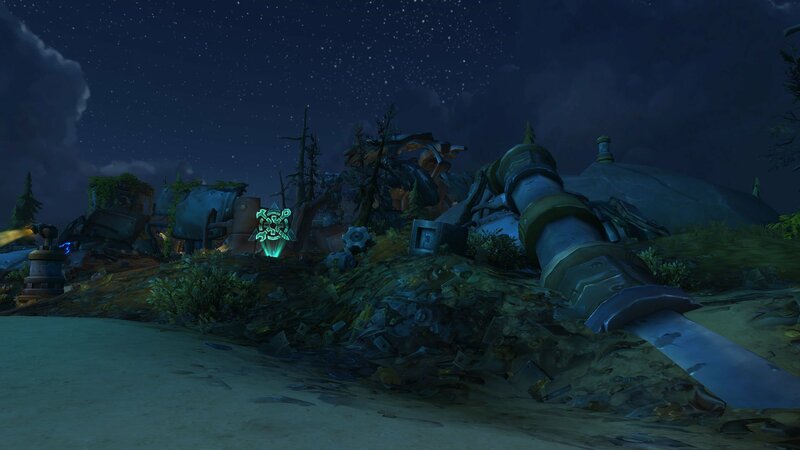 We fight Azshara here, not one another. 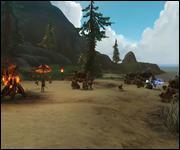 But if the Alliance undermines our efforts, the flames of war will rise again. For all her lies, Priscilla Ashvane spoke one truth. 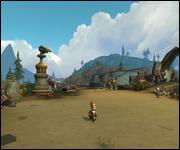 The war between the Alliance and Horde has kept us distracted. Divided, we have no hope against N'Zoth. 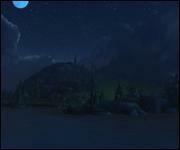 Lor'themar: We may have found common cause here in Nazjatar, but the battle still rages beyond these waters. So long as Sylvanas holds Orgrimmar, there can be no lasting peace. The war needs to end, Lor'themar. You know this to be true. 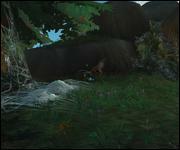 Lor'themar: I had hoped that reason would prevail. But the time has come to finish this. Lor'themar: I will tell my people what transpired here. 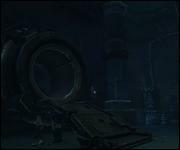 Of how Azshara fell because we stood together. Of the threat rising from the depths, and all that is at stake if we should fail. 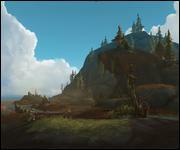 Lor'themar: Then I will take my place beside Saurfang and Thrall, and pray that the sin'dorei stand with me. Behold the future of all dragonflights. United as one. You will see the truth as I have, sister. Why do you resist, sister? Do you not see the grand destiny that awaits our kind? Whatever power you seek will not protect you from me! There is but one way this can end, $n. Prepare for a fight. This is not possible! I... just need... more power! Your pathetic dragonflights will fall. If you will not serve the master, then I will find one who will! Stone lord! I am Ebonhorn, protector of Highmountain. We have come to claim the essence you now hold! I know you, dragon. Kin of the Worldbreaker. You are unworthy of such power. I am free of my father's madness. 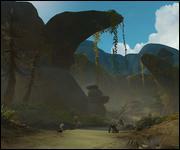 We seek to wield the essence in defense of Azeroth! Then face me, and prove you have the strength to do so. Very well. We accept your challenge! The earth will break you! Champion. Your actions today have saved the red dragonflight from a terrible fate. For that, I am eternally grateful. One of my children will carry you back to Silithus. I will meet you there. Magni Bronzebeard: Ah, ye're back, champion! 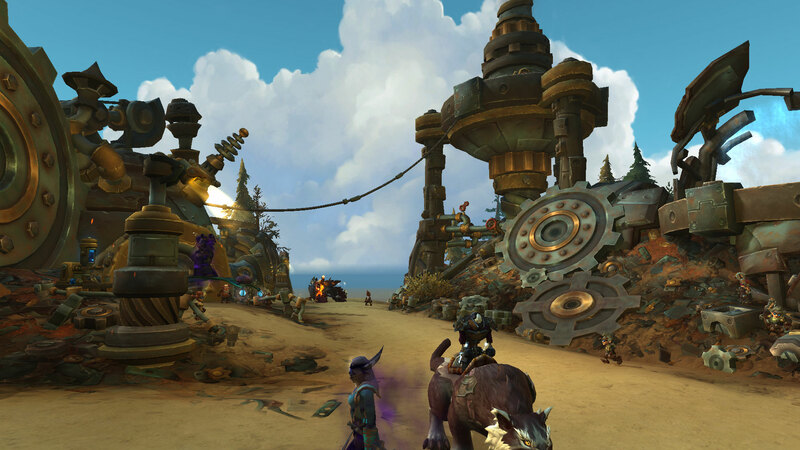 And ye brought... a tauren?! MOTHER: Draconic presence detected. Designation: Ebyssian, black dragonflight. Lack of Old God corruption indicates low threat probability. 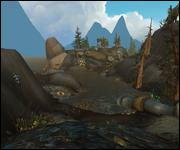 Magni Bronzebeard: Ah, it's good tae meet a black dragon that isn't tryin' tae kill us all! Ebyssian, is it? 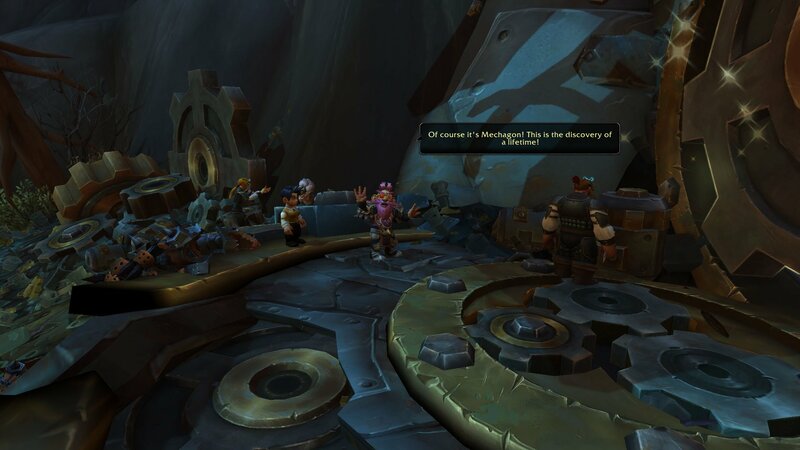 I'm Magni Bronzebeard. Ebonhorn: I prefer "Ebonhorn." Greetings, Speaker Magni. I have come to join your cause. 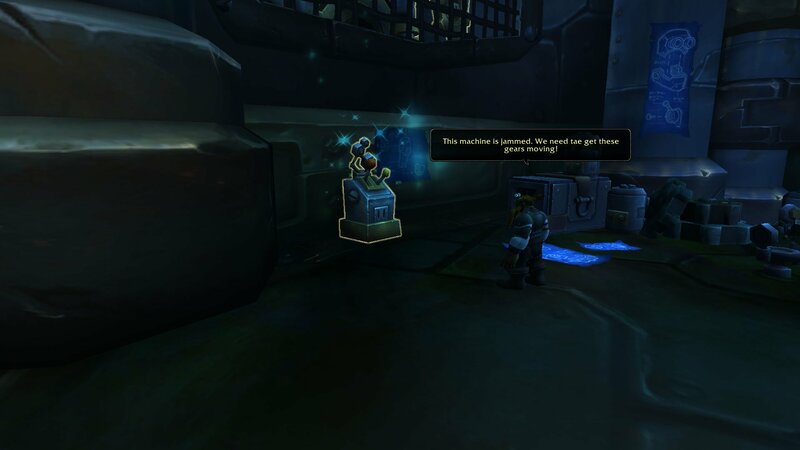 Magni Bronzebeard: Did ye recover the dragon essence that MOTHER detected? 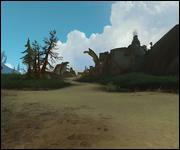 Ebonhorn: Neltharion was once tasked with protecting Azeroth. I will remain here, and answer the calling that he could not. 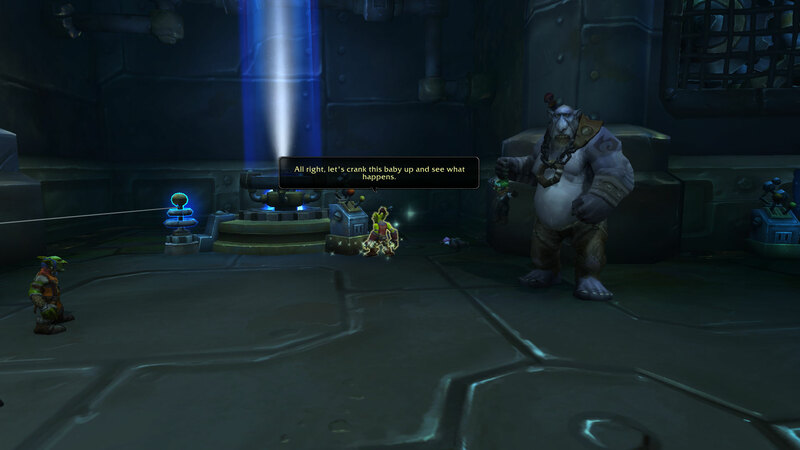 Magni Bronzebeard: Ye understand the essence of dragon magic better than we do, Ebonhorn. We'd be grateful for any guidance ye can provide. My, what a long way down! It was not easy to locate this chamber. Kalecgos, of the blue dragonflight! Well, this is certainly a welcome surprise! What brings ye here? 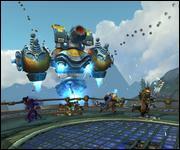 Kalecgos: Essences of potent magic are coalescing all over Azeroth. Some are draconic in nature. Perhaps I can help you acquire them to aid in defending our world. I could feel the distress of Nordrassil deep within the Dream. With all that this world has endured, we cannot lose another great tree. 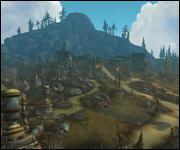 Thankfully, we have you on our side, and the Heart of Azeroth. Be careful when you venture deeper into the caverns. Some of us were not able to make it out in time. Nothin' our champion can't handle! We'll get yer people out o' there. You must hurry. 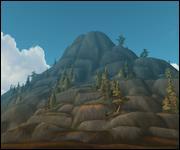 Though the pain of the earth lessens, I fear that there is little time left to save what remains of Azeroth. I know, I know! We're doin' all we can an' we've enlisted some powerful help. That is good to hear. We are much stronger when we stand together. Good luck. Ah, $n. I haven't seen you since we were here last. 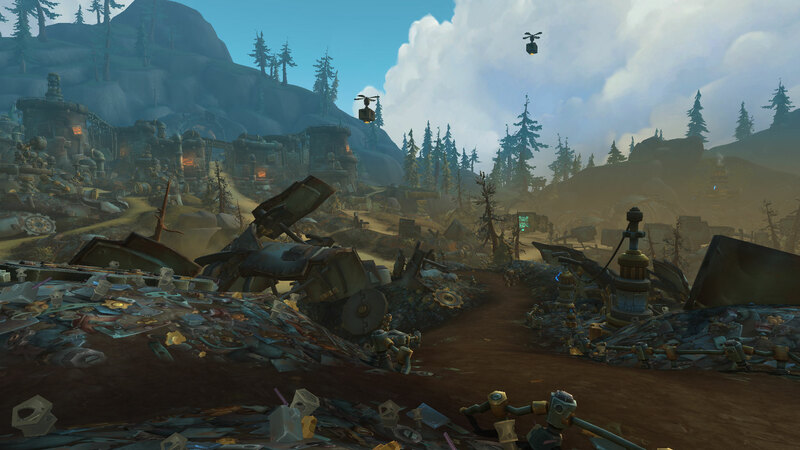 What brings you to Highmountain? I'm investigating unusual magical activity in the area. 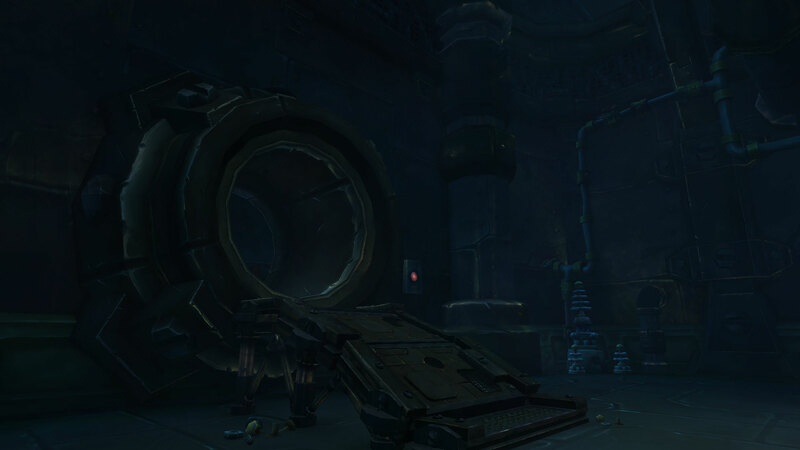 Hmm, I too have sensed something deep beneath Highmountain... in the caverns that were once Neltharion's lair. Let us investigate the matter. Navarrogg can bring us directly to the source of the disturbance. Greetings, $r. 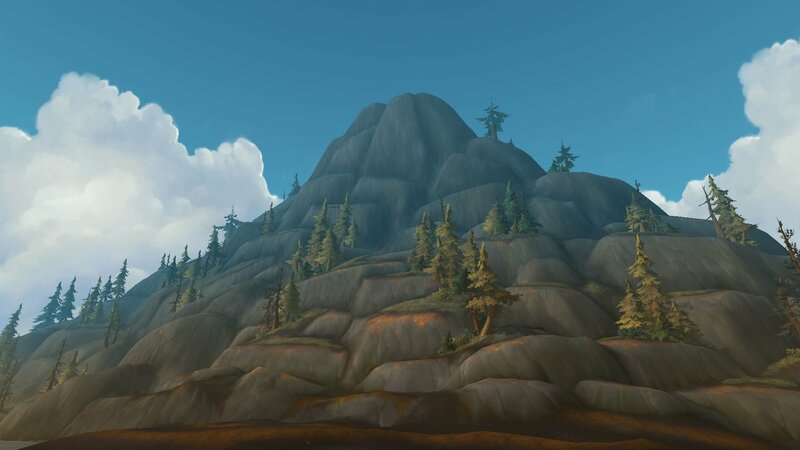 Are you ready to travel into the heart of the mountain? I have transport prepared when you are ready. I will remain here to watch over the mesa. Our people once lived as nomads. It was not long ago that we settled in these lands. Some of us are still wanderers at heart. You have done much in your travels to honor your ancestors. Look upon this land, and know that the peace and harmony found here are also within you. Balance has been restored, and I must bid you farewell. But the spirits will always watch over you. Wherever the Great Hunt leads you, may our gifts remind you of your tribe and your home. Walk with the Earth Mother, $p. $p, we meet again. I see that you continue to honor the old ways. Our rituals and traditions serve a sacred purpose. They preserve the balance between our realms. 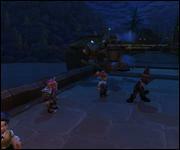 It is the duty of every tauren to observe these rites. The spirits rely on us to fulfill this ancient calling. It warms my heart to witness all that you have accomplished. I eagerly await your next adventure. Until we meet again, brave $p. Earth Mother guide you. Merithra? : Aunt Alexstrasza, may I ask you something? Alexstrasza: Of course, little one. I will always listen. Merithra? : Long was my mother the Aspect of the Dream, our leader. Formidable. Merithra? : There was always something distant about her, as if she was not always with us. As if she was in two places at once. Alexstrasza: This is how I knew her, but you were sisters. What was she like, to you? Alexstrasza: We were the only two of our brood to survive. Inseparable ever since our birth. Alexstrasza: She was the smallest among us, which led some to believe she was the weakest. They were wrong. Alexstrasza: Ysera was strong in a way most could not understand. But hers was a strength on which Azeroth depended. Merithra? : I don't know if I can be as strong as her. I don't know if I can do this. Neither did she. None of the Aspects did. But we rose to the challenge, as will you. And know that Ysera is not truly gone. Merithra? : Yes, I understand. This is not the end. This is a beginning. They have Alexstrasza surrounded! You must reach her! Your aid is welcome, $n. Now, subdue these abominations! Life-Binder. Give in to the whispers. Join us and you will be granted power beyond measure. Alexstrasza and I will focus on Vexiona. Do what you can to save the captives! You will find fragments of the emerald flight's power scattered in the Dreamway, where my kin have fallen into that eternal sleep. We must travel to the Dreamway before the rest of my flight is lost. Speak with me when you are ready. 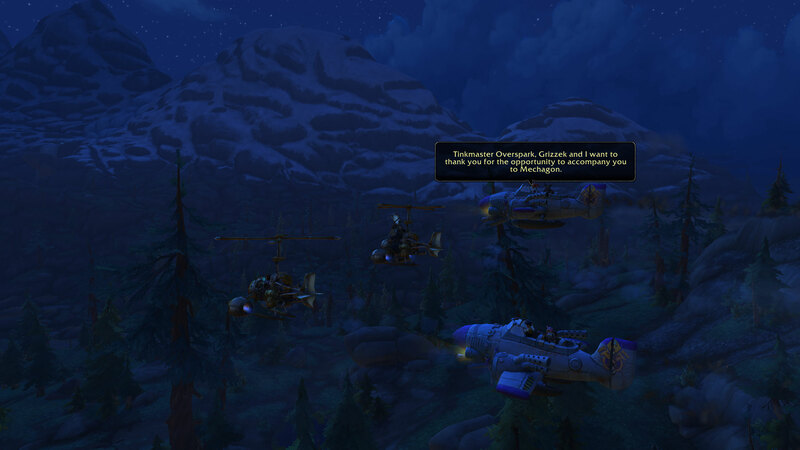 I fear that even if Azeroth is saved, my brothers and sisters of the green flight are doomed. Throw the shards into the lake, champion, and I will do my best to reforge them with the flames of the Emerald flight. Dragons of the green flight, if you still have hope, help me! It is done. Thank you, all of you. Still, we will do everything we can to help save our shared world. I need to return to the Emerald Dreamway. The essence... belongs to the earth. Isn't it time for your nap? Dragons are not renowned for being patient, you know. Let her go. The Redoubt is safe for now. I know you seek to empower the Heart of Azeroth. You have more than earned my support. Our champion has that power! The Heart of Azeroth will heal Nordrassil's wounds, just you see! I'll believe it when I see it, "Speaker." Such power! If you were to wield this against your enemies, you would be unstoppable! 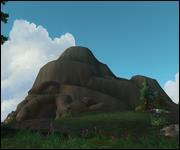 The Heart of Azeroth's not meant tae destroy, but tae heal. Champion, do ye feel that? Something's happenin' with the Heart! Let's get back tae the Chamber! The essence was bound within this anomaly. We can meet back in the Chamber of Heart, champion. We will make sure this goes to good use. [DNT] I will see to it that this place does not fall to such disarray in the future. 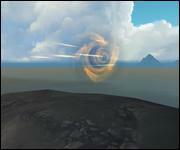 $n, I need you to use your Heart of Azeroth to absorb the titan energies from this ritual. This will take a moment. Hold up your heart and let us begin! I can feel the essence... keep going, $n! Yes I found it! The Eye of Eternity. I'm afraid we must go into the Eye of Eternity. Prepare yourself, the instability can be felt even here. I'll open a gateway to the Eye of Eternity. Prepare yourself. Long has my flight protected all life on Azeroth. And so shall we continue for as long as we draw breath. Accept this gift. May it light a flame within you, to burn bright through the darkest times. I see. This forge will unlock the power of each essence. May the might of the black dragonflight aid you in restoring this world. Kerchunk: Thank you $n, this grease will come in handy. 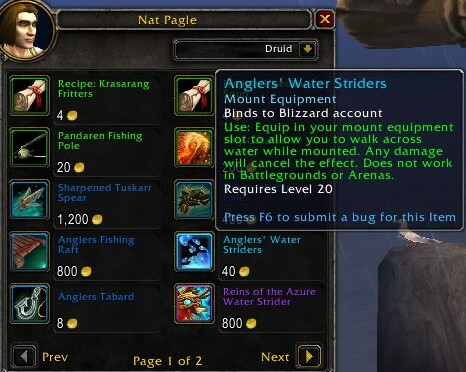 It's for the spider mount Kerchunk! Not your hair. Kerchunk: My hair is naturally sleek and shiny. Sparkflux! The invaders have made it past the outer defenses. I want their stench removed from my city! I have activated all civic defenses, my king. Rest assured, these organisms will be expunged from our metropolis. Brothers and sisters of gnomanity! For generations, the curse of flesh has condemmed us to obsoletion. But no more! At long last, the perfection of our original titan-forged design will be restored! 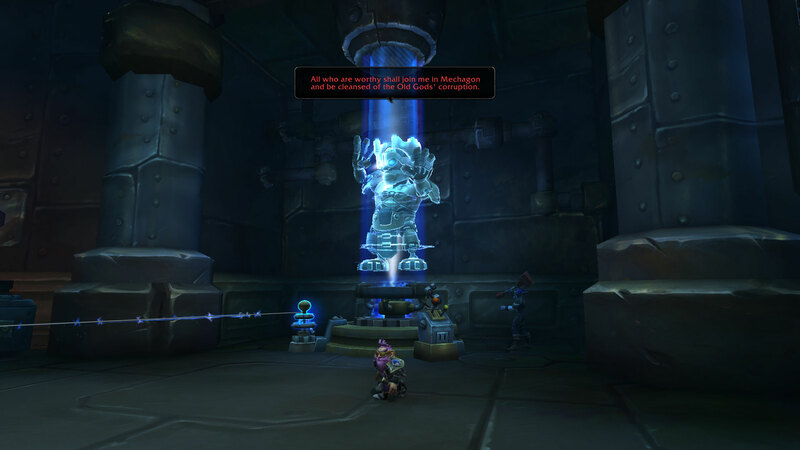 All who are worthy shall join me in Mechagon and be cleansed of the Old Gods' corruption. Step forth, and be judged in the eyes of invention. Together, we will reclaim our true legacy! I will store our luggage until we return. 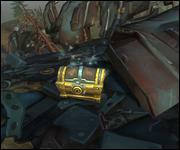 Just imagine, $n... a vault full of lost technology, left behind by the last king of the gnomes! 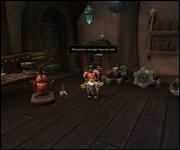 Tinkmaster Overspark, Grizzek and I want to thank you for the opportunity to accompany you to Mechagon. Ordinarily, I would not have made the offer. You've never been patient with your lab work, Sapphronetta. Which explains why you gravitated towards the Explorer's League. Told you not to say anything. However, that impulsive drive also makes you the perfect fit for this expedition. I need brash dare-do-alls like you and Grizzek to lead the way into the dangerous unknown! I think he's saying we're expendable. 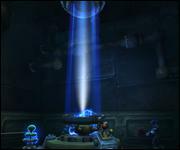 Tinkmaster's log: Under the expert leadership of Tinkmaster Overspark, the team has entered the vault. My fellow tinkologists, we have made a great discovery! 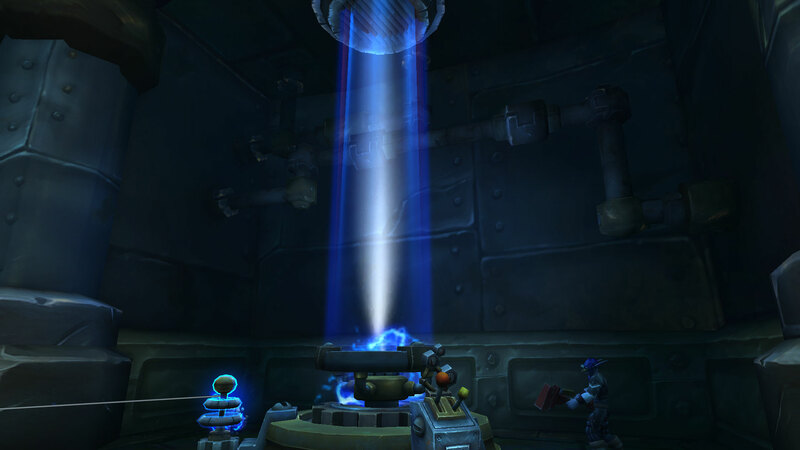 The technology in this vault is still intact. 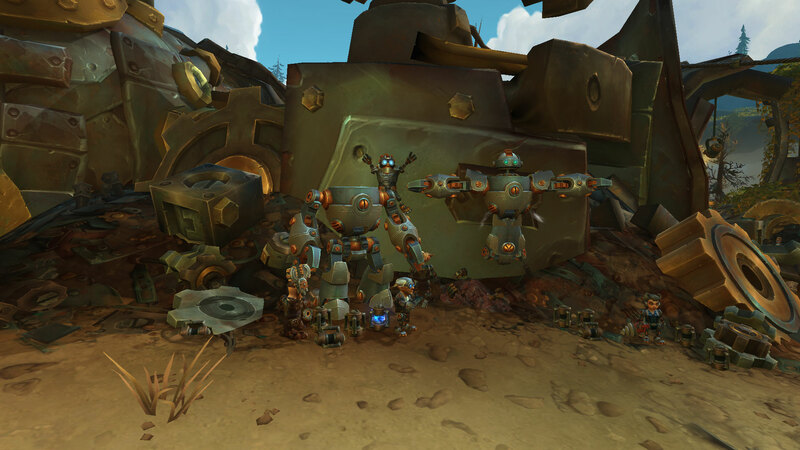 If we can unlock its secrets, we will surely find Mechagon! Now let the examination begin! Look! 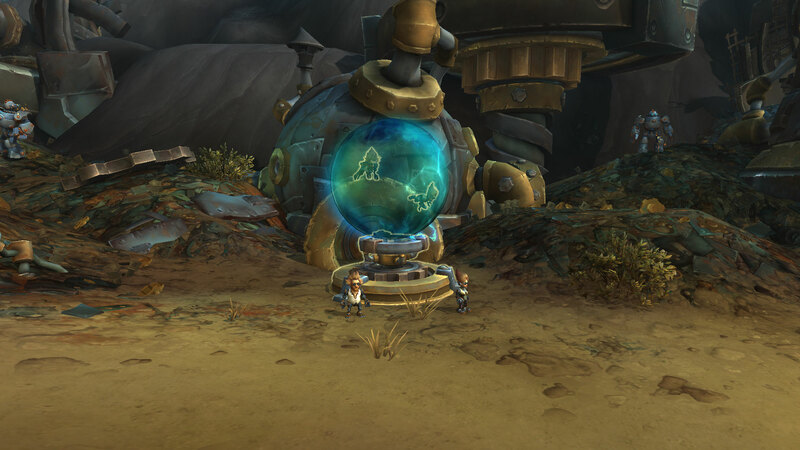 This is clearly ancient gnomish technology! 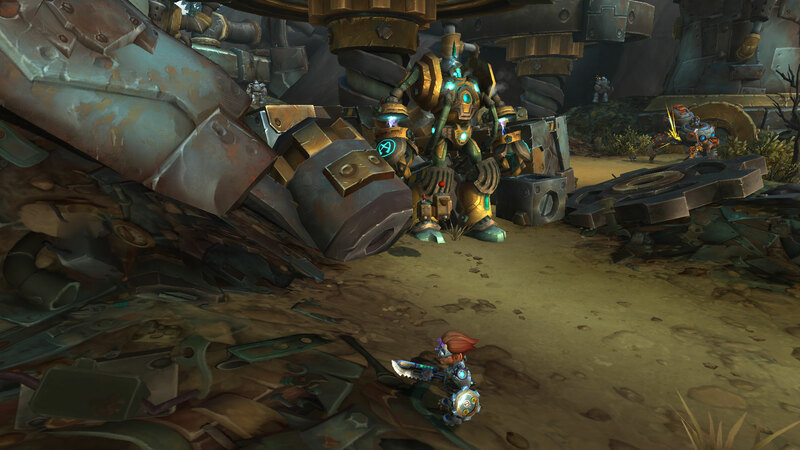 I concur, but that doesn't mean that this is Mechagon. 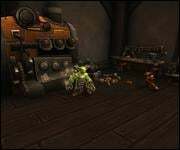 Of course it's Mechagon! This is the discovery of a lifetime! 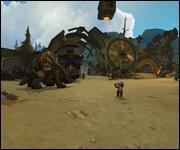 Mechagon is always under construction, and the construction projects change every day. I can tell you what construction projects are underway each day. Just ask! Tinkerbow: And three. Two. One. Cog Captain: I don't hear any more noise. I hope that means you smashed the intruder, you foolish brute. Cog Captain: Telzo Sparkspanner! It can't be! Tinkerbow: You know that ugly mug, Cog Captain? 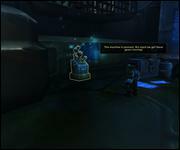 Cog Captain: He was one of Thermaplugg's assistants. 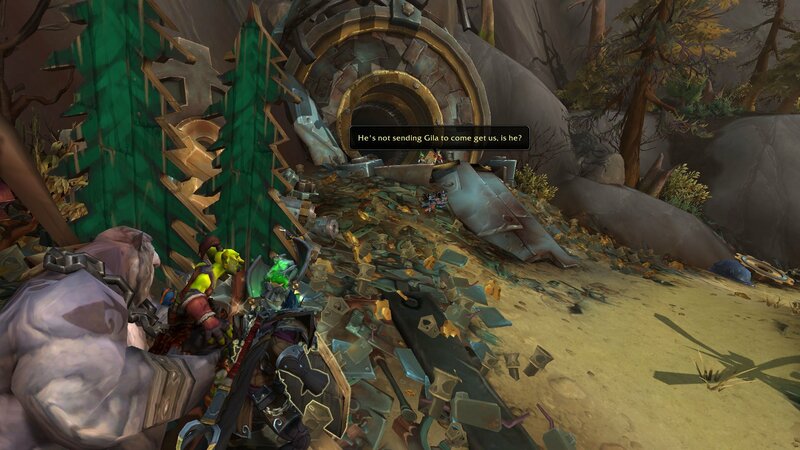 But no one has heard from him since the Gnomeregan incident. 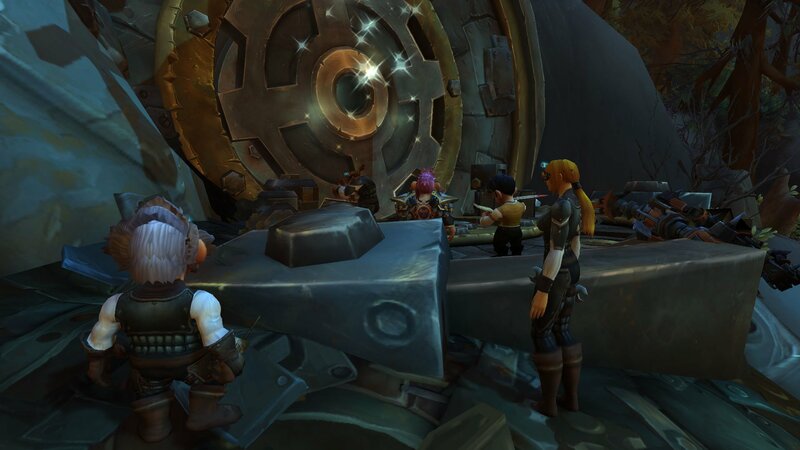 Cog Captain: Where's that signal coming from, Tinkerbow? We need to hurry! All systems ready! Let's fly! Sparkspanner was always an odd one... I can't imagine what he has planned. Sparkspanner: Imagine no longer, simpleton! I am more than willing to tell you how you and your little crew will meet your demise. Sparkspanner! 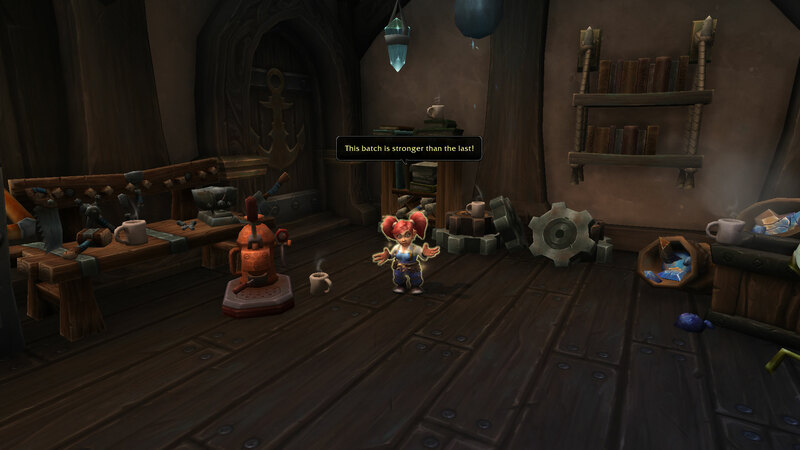 So you did survive Gnomeregan! Sparkspanner: Did you really think that I, the great Thermaplugg's second-in-command, would die in a scheme I helped engineer? You WHAT? What could you have possibly hoped to accomplish? Recognition! And what did we get? A fool of a gnome sweeping in and reaping the rewards of all our work. 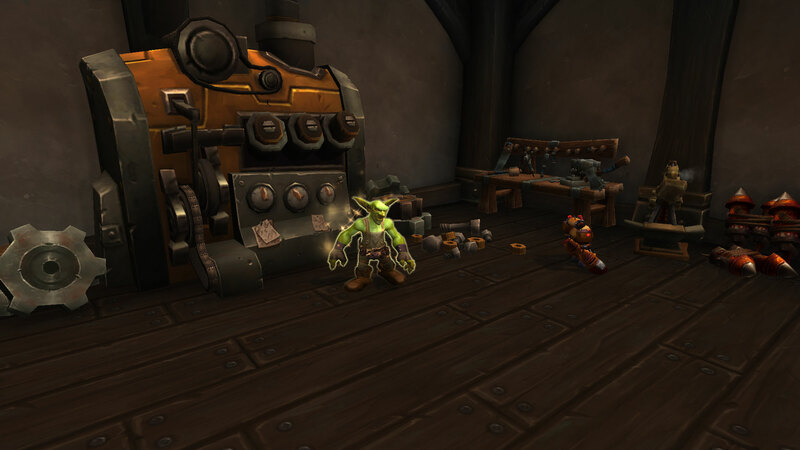 Sparkspanner: All those who followed Mekkatorque must pay! 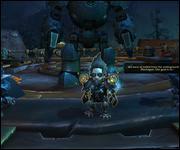 With my army of troggs, I will decimate all of gnomanity. Say no more! 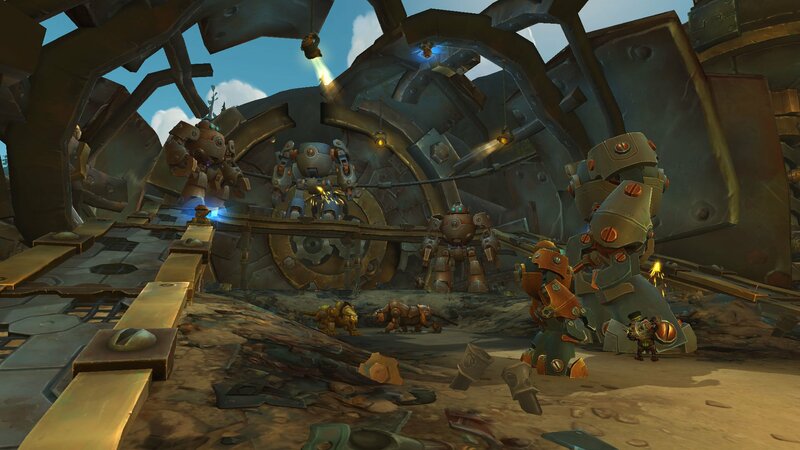 If Gazlowe found Mechagon, I'm going with him. It's been a dream, Uraka, but you're gonna have to test drive our beautiful boat without me. I've no doubt you'll find ten ways to improve it before sundown. Do it all, and tell me all about it when I get back. I... will try not to undo your work. It is truly... unique. 'Course it is, hun. Just like me. 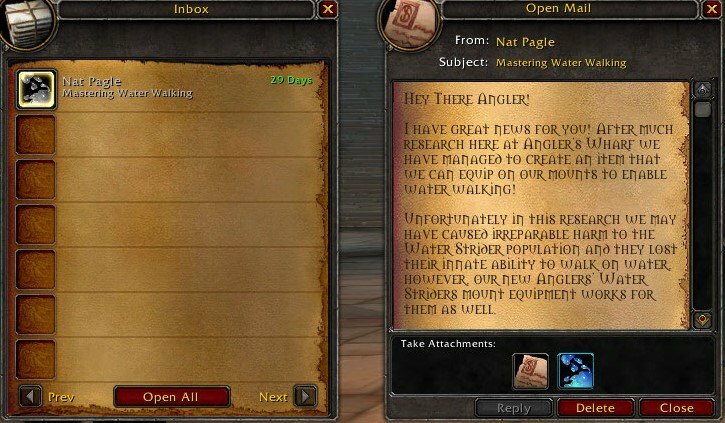 Alright, $n, I'll meet you and Gazlowe down at the docks. I've got a surprise I think you're gonna like! 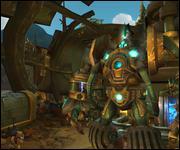 This is Mechagon? Don't look like much from up here. 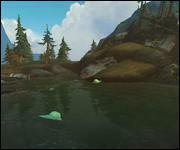 Bots on the shore? Let's bomb 'em! Reckless targeting, but exceptional results! Potential reinforcements have arrived. We must inform the prince. Yeah, tell him Gazlowe's Greasemonkeys are here and we're on his side! 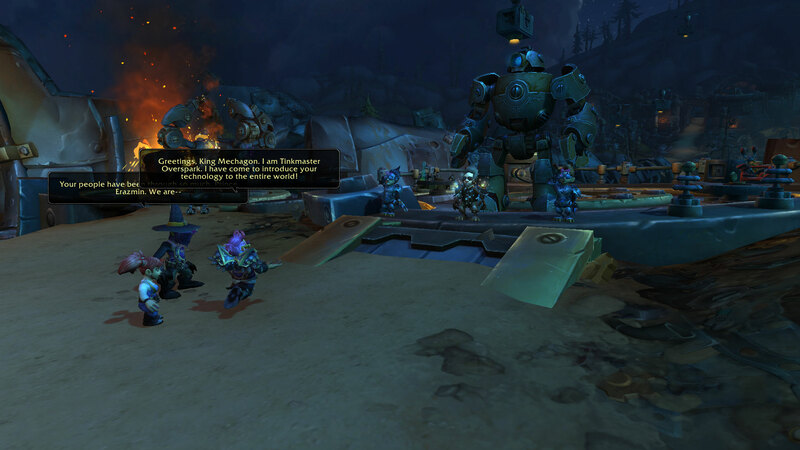 Greetings, King Mechagon. I am Tinkmaster Overspark. I have come to introduce your technology to the entire world! 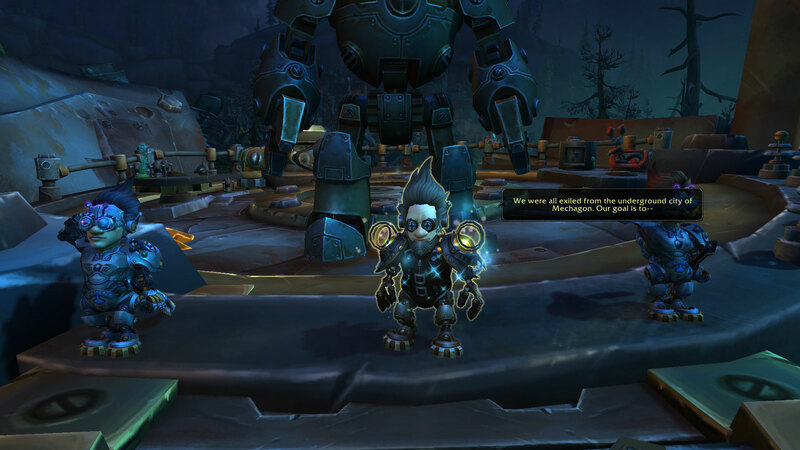 I am not King Mechagon. He is my father... and he is a madman who must be stopped. 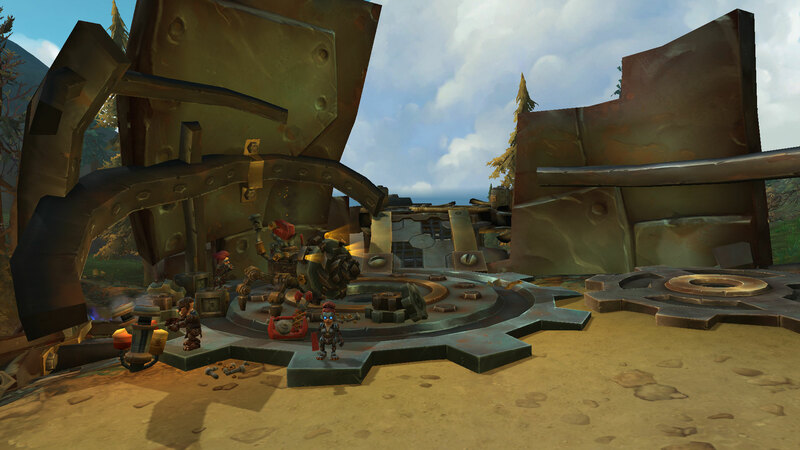 Wait... this place isn't Mechagon? Well, what are we waiting for? Let's get going! Grizzek grunts and nudges Sapphronetta. Of course we'll join your cause, Prince Erazmin. That's why we're here! Uh, yeah, that's why we came out here, too. Sign us up! Hah! 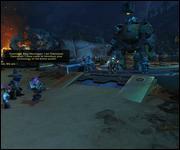 As if the Horde would help anyone! Your bloated trade prince doesn't know the meaning of the word! Don't mind him, Prince. Me and my crew are willin' to lend a hand. Just tell us what needs doin' and we'll do it! With your assistance, we can foil my father's schemes and save my people. 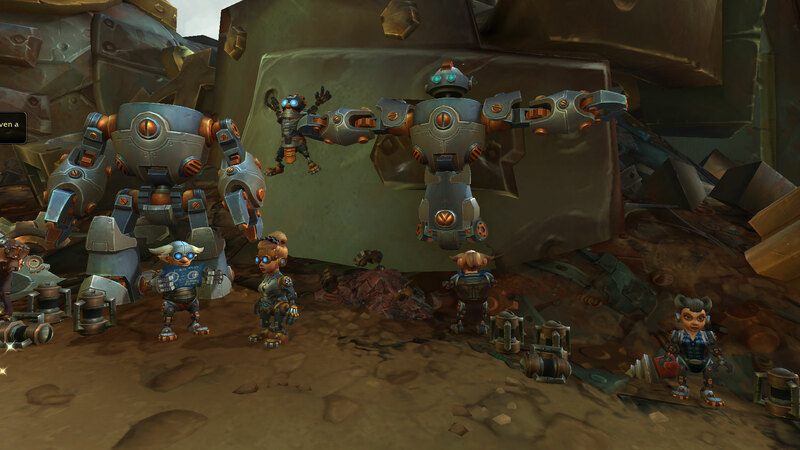 Welcome to the Rustbolt Resistance! In order to stop my father, we need to infiltrate the city itself. 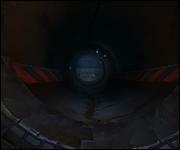 And that means passing through... the robodrome. What a match up we've got tonight, folks! Sparks are gonna fly! Wait, what's this?! 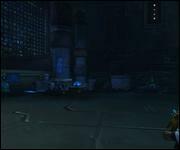 Some surface dwellers have unwittingly stumbled into the arena! A word of caution to anyone sitting in the splash zone: Watch out for blood! Now this is a statistical anomaly! Our visitors are still alive! Time to introduce them to the legends of the Tussle Tonks arena! The Platinum Pummeler and Gnomercy 4.U.! Let's get mobilized for mayhem! The city's entrance is located just past this arena. You must hold your ground until we can clear a path to it. No sweat, pal. I'm putting twenty large on Gnomercy! If I can't bet on a sure thing, then I ain't really living! A stunning victory for the surface dwellers! But... we're still throwing them out with the trash! Trash! Trash! Trash! Trash! Trash! You may have noticed that Rustbolt is not currently operating at peak efficiency. 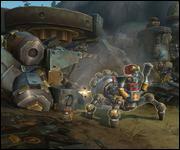 Mechagon's forces recently raided the settlement. Many of us were apprehended... or worse. 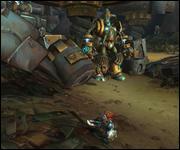 It doesn't make sense... Why would King Mechagon do that to his own people? My father was once a visionary. But now... he has transformed himself into a heartless machine. He will stop at nothing to achieve his goals. The Rustbolt Resistance is all that stands in his way. As you can observe, we take pride in our ability to refurbish and repurpose technology. However, we also value our organic components. Our emotions and memories, our personalities. My father does not share that view. He intends to mechanize the entirety of our people, willing or not. The choice to install upgrades belongs to each of us. No one can strip us of that autonomy. It seems we have an impressive haul today, Christy. Yes, sir. Their tech is improving. We can hardly keep up. Prince Erazmin looks at the fully mechanized Sentry and sighs. 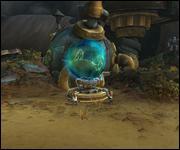 The extent of this mechanization... is there even a gnome left in there? I have yet to determine that. 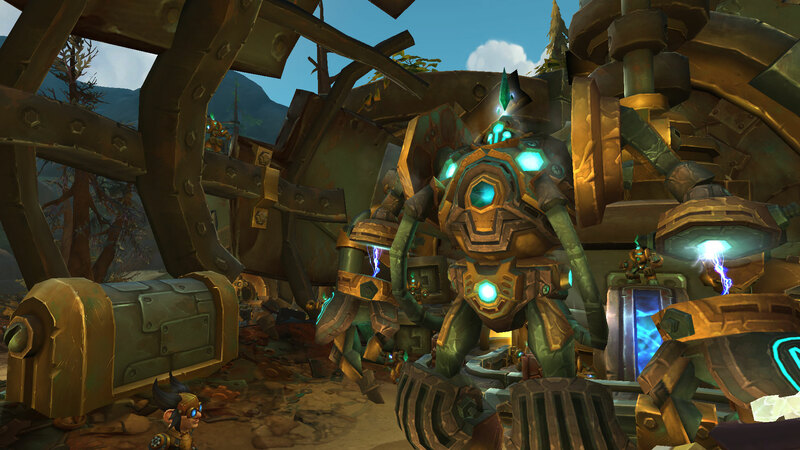 King Mechagon has converted over 99% of their physical composition. We will stop him. We must stop him. 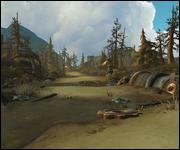 Most of the resistance still have family and friends within Mechagon. We fight not only for our own freedom, but for theirs as well. If my father succeeds, then all of us will end up like that machine on the wall. He'd erase everything that makes us who we are. We cannot allow that to happen. Thank you for your assistance. But there remains much more to do. So my misguided son returns. I am impressed you made it this far. You are no longer my father. Just a malfunctioning machine that must be shut down. Poor child. If only you could accept the truth. 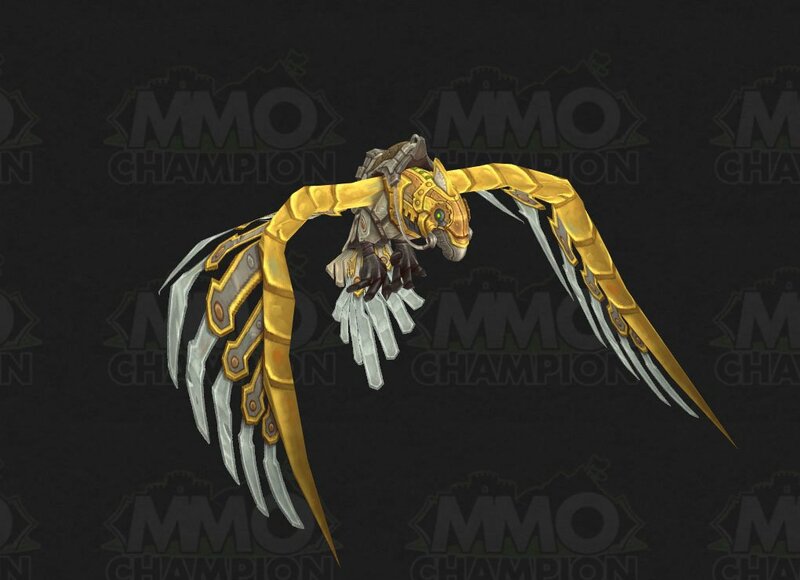 The curse of flesh has run rampant across Azeroth, and I will replace it with mechanical purity. The mechoriginator has been destroyed... and so has my father. You have my gratitude, heroes. 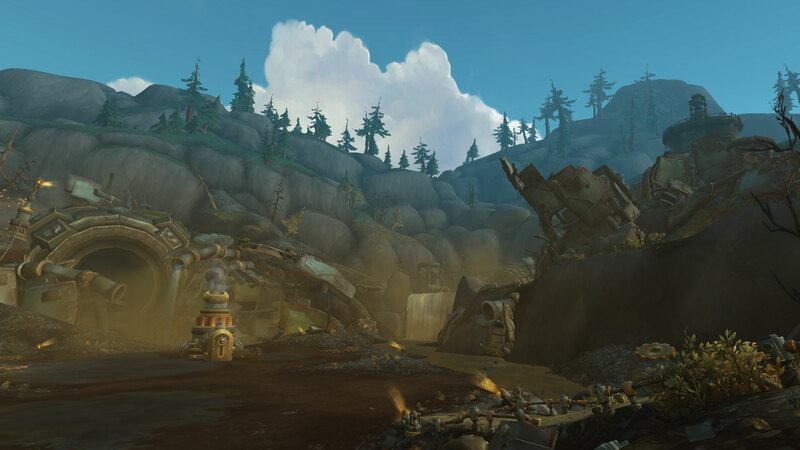 Know that King Mechagon's vision of the world is not one my people share. We must now focus on rebuilding. But if you ever require our assistance, you need only request it. Huh, this partnership wasn't half bad. Reminds me how profitable working with you Alliance mooks can be. 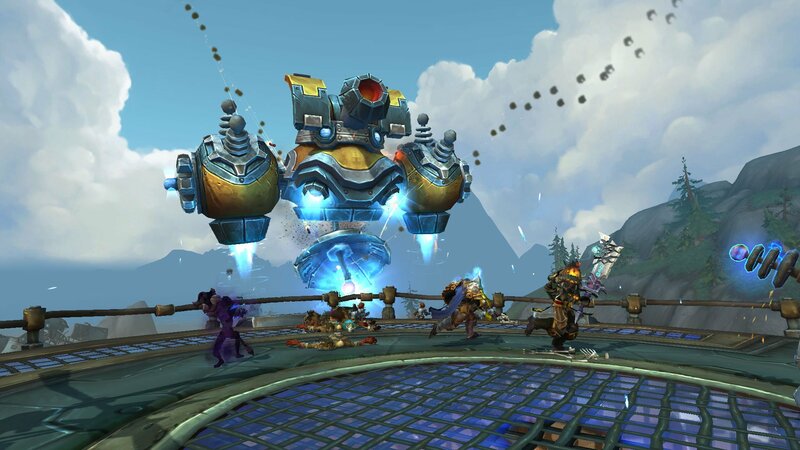 Thanks to Tinkmaster Overspark's leadership, the threat of world annihilation was averted. 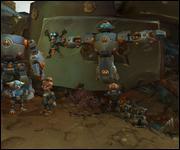 You are Gnomeregan's finest soldiers. Paragons of gnomanity. 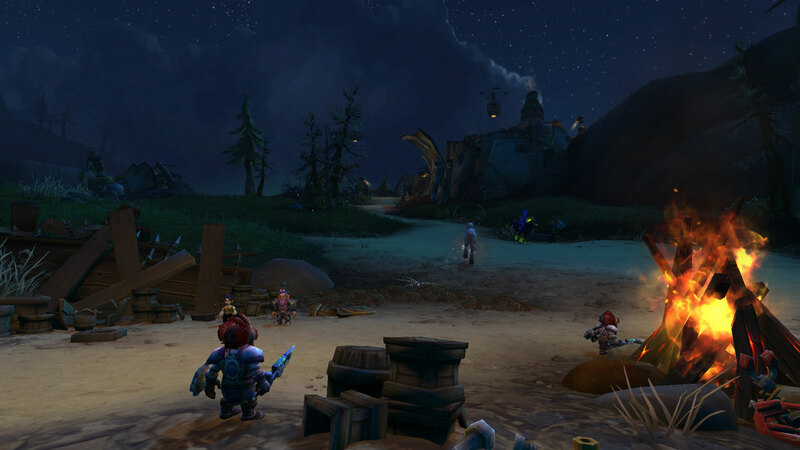 The best examples of gnomish ingenuity and determination. I know what I said! 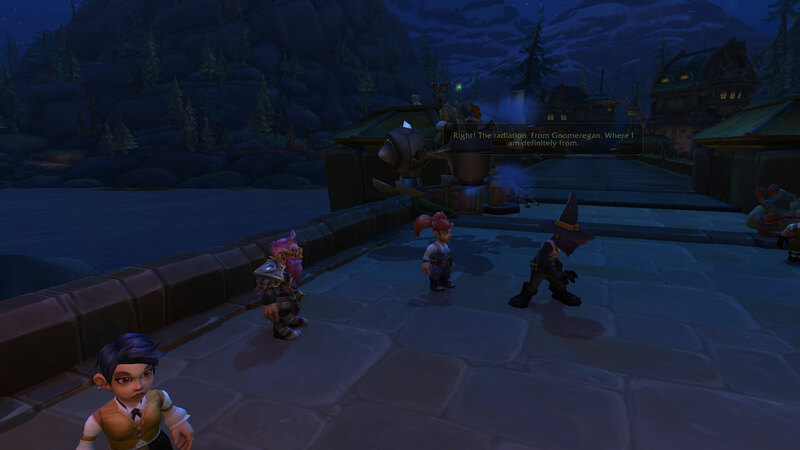 Anyway, you are the first Gnomish Elite Aerial Rangers. 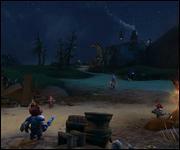 And you will show Azeroth everything we gnomes can accomplish. Careful, Commander. 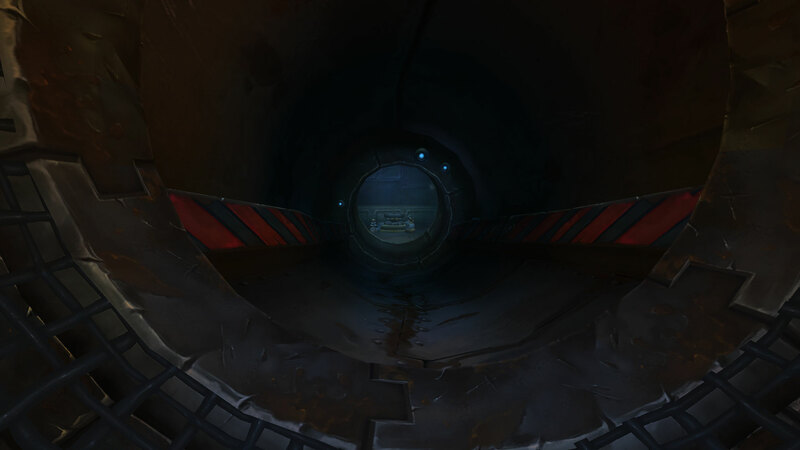 The titan facility's exterior defenses may have been rewired to see us as intruders. Worry not, tinker. I am an excellent pilot. I'll keep that in mind when we get shot out of the sky, Cog Captain. I think they're shooting at us! This must be a misunderstanding! 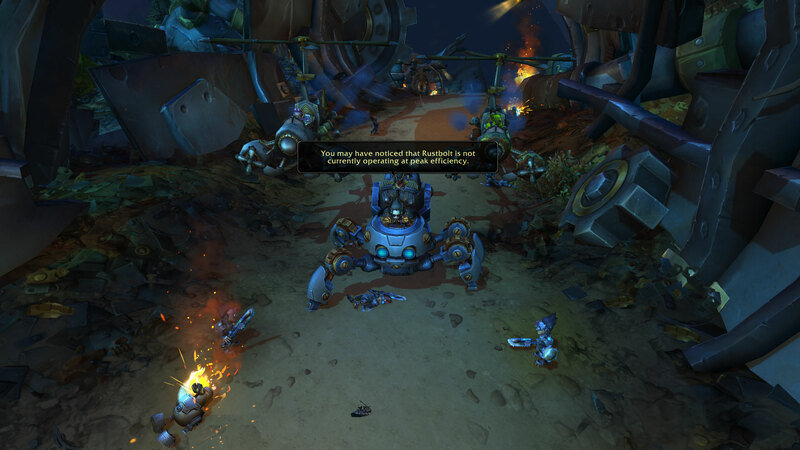 King Mechagon will obviously want to meet me! Don't worry, I've never had a crash I couldn't walk away from! We've been hit! Hold onto something! This is going to be a bumpy landing! Evasive maneuvers, Captain! Do a barrel roll! Rangers! You have more than proven gnomish aerial might. 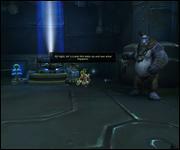 The Alliance will no doubt call upon G.E.A.R. in the future. But first! Every elite unit requires a proper uniform! Wear the colors of Gnomeregan with pride, ranger! Hmph. You fight well... for an elf. And you fight well for a wolf. Genn: Jaina! We have to find a safer location! Jaina: Genn! There is a small cave ahead. It's not ideal, but at least there won't be naga coming out of the walls. 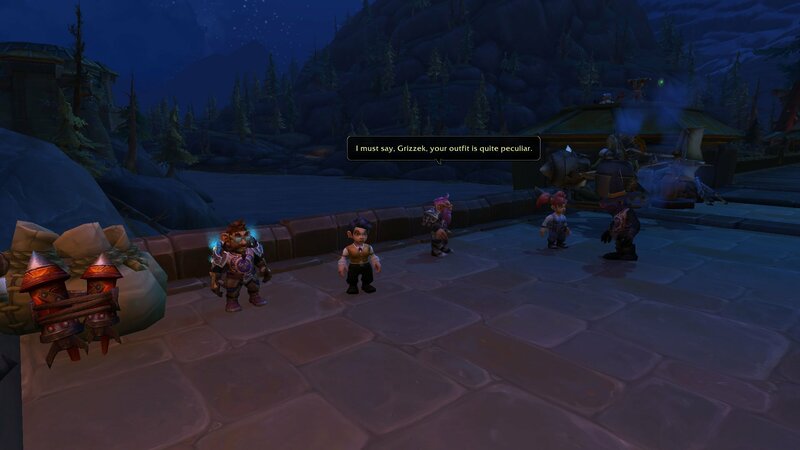 Genn: We'll follow your lead. 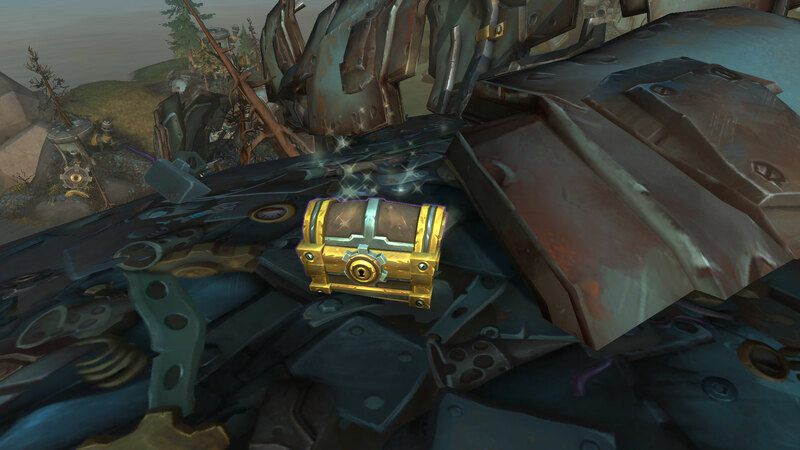 Neptulon's favor! Just when our numbers wane, the battle is joined. Our forces have been decimated. 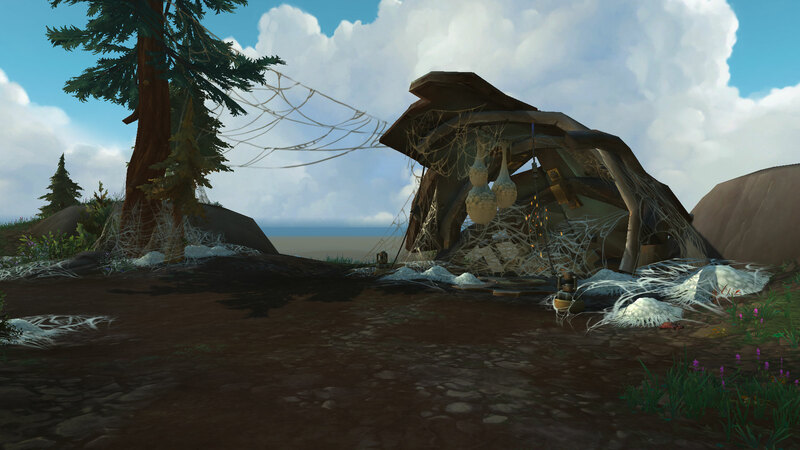 Many lives were lost to Azshara's trap. Our fleet is in ruins. Thank you for your help against the naga. We must find shelter and regroup. You cannot stay here. Azshara's reinforcements will find you. Do you know of a defensible position? I must trust that the enemy of my enemy is my friend. The end of this conflict draws near... one way the other. Spoken like someone who has been fighting for a very long time. We, too, understand the cost of war. Oh, young one. How I wish we could have met under different circumstances. The spirit realm is out of balance. Dark spirits are crossing over into the mortal world. There will come a time for us to speak, but first you must warn our people of this threat. We must destroy the spirit before it is too late! No, my son. Let it be. Our way seeks not destruction, but harmony. We need both light and shadow to see what lies before us. You have helped this champion restore balance to the spirit realm. And balance is what we strive for. Father... Mother... Can you stay? I have so much I wish to tell you. I know. But we must wait for another time. We are proud of you, my son. Remember always that the Earth Mother watches over you... and so do we. 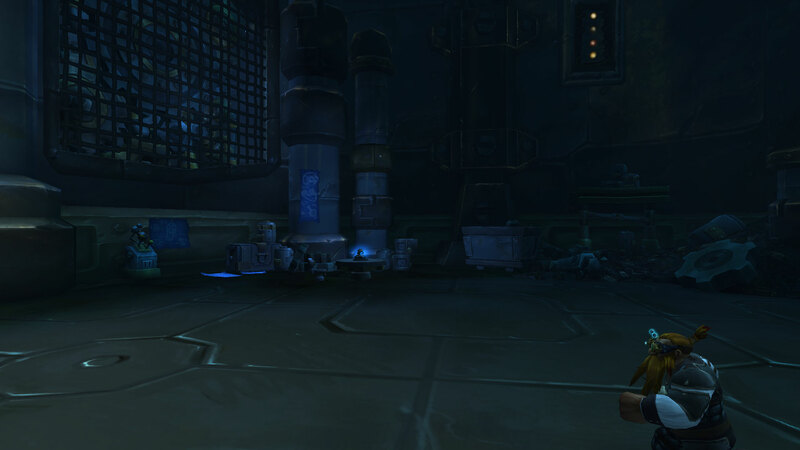 I have not been down here since we faced Garrosh. 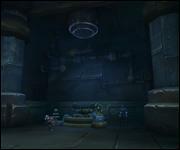 Vol'jin reopened these halls to provide shelter when the Legion invaded. 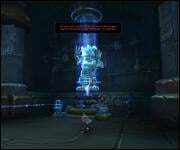 Now, Sylvanas uses them to train her elite soldiers and build her Azerite weapons. 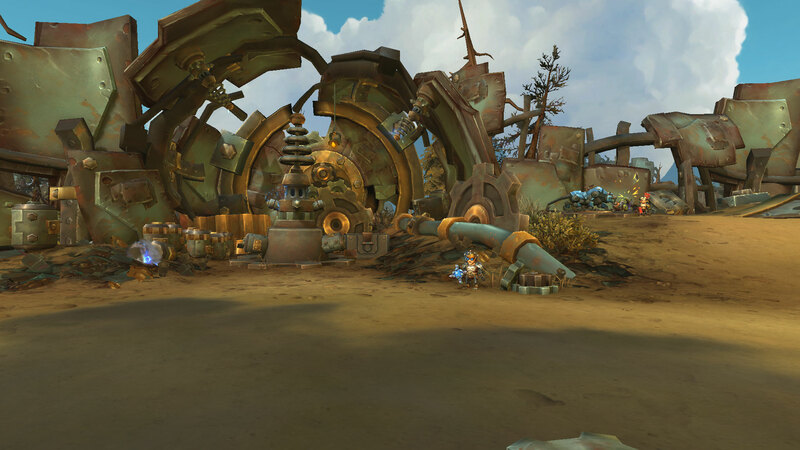 This must be where they develop new Azerite weapons. Which gives us a chance to deplete the Horde's arsenal. We should take it. 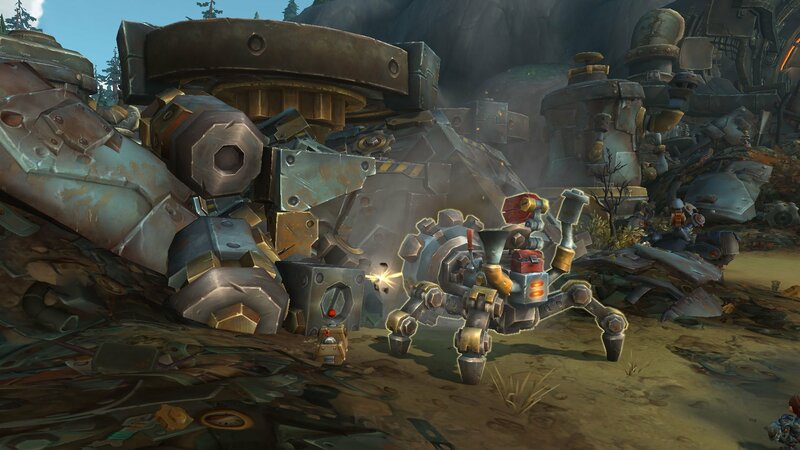 Destroy the mechs, but do not lose sight of our mission. Champion, the Dark Lady demands your presence. She has devised a plan to finally put an end to this ridiculous conflict. Our fleet has already begun mobilizing. 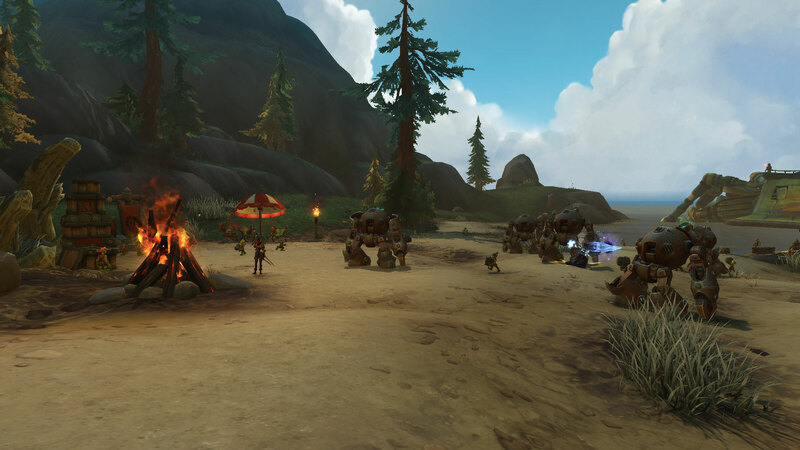 Soon we will meet the Alliance armies at sea and crush their leaders beneath the Warchief's might. Find me at the docks. We will bring swift victory... for the Horde. 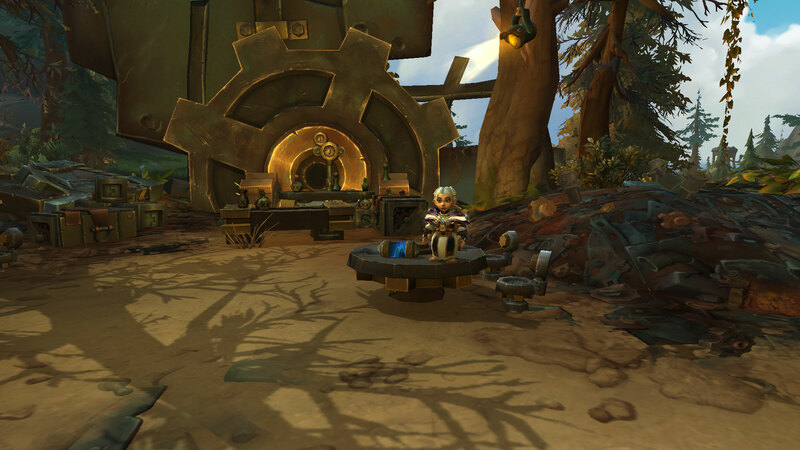 Champion, Spymaster Shaw informs me that the Horde's remaining ships are preparing to depart from Zuldazar. We will vastly outnumber them on the open water. Let us seize this opportunity and end this war once and for all! Our fleet is ready to set sail. 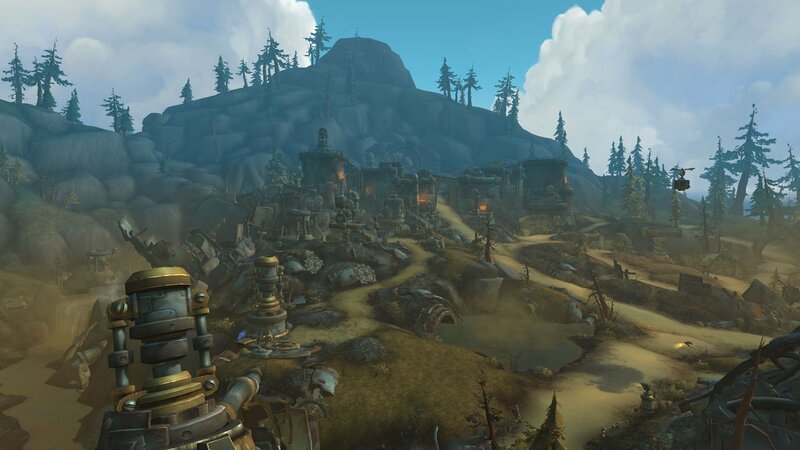 Report to Boralus and meet me upon the Wind's Redemption with all haste! Champions of da Horde. 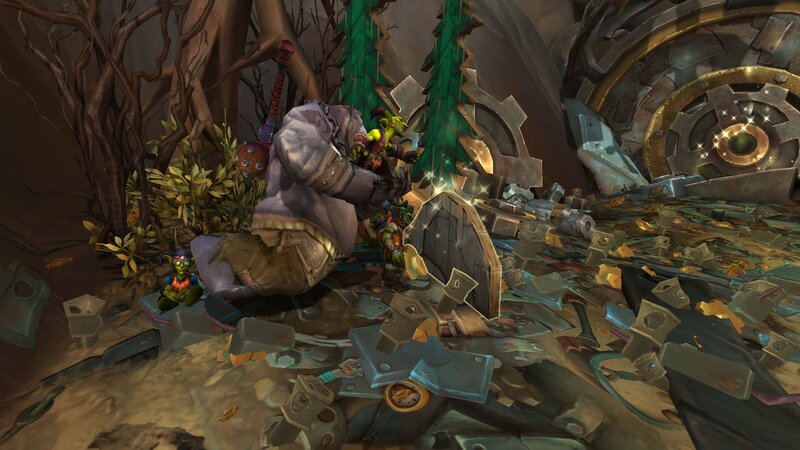 Da warchief be wantin' Ashran and all its artifacts. It be up to us to secure da island. Some of you gonna take da fight to da Alliance. Da others, find dose artifacts before our enemies can get to dem. 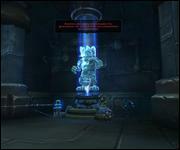 We gonna keep da ancient power here out of da Alliance's hands, no matter what. For da Horde! Heroes of the Alliance. 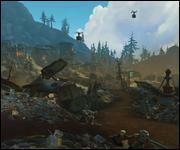 Our mission is to secure Ashran and the ancient artifacts scattered across it. 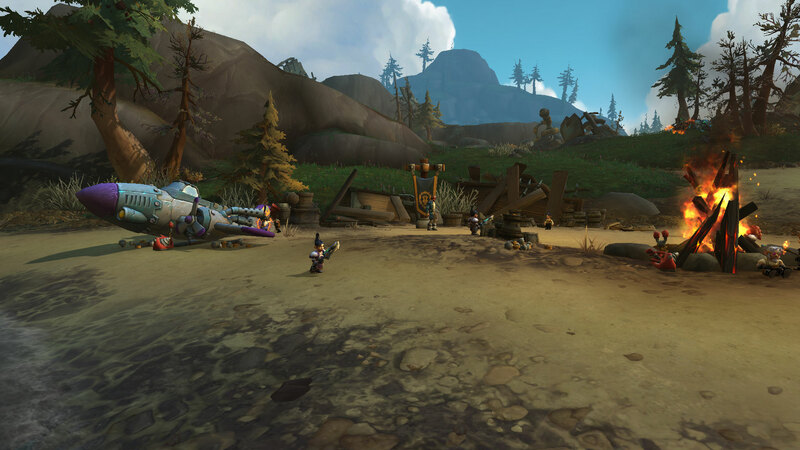 While some of you push into enemy territory, the others will search for and retrieve the artifacts before the Horde does. 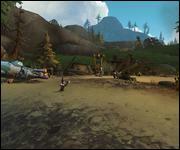 We cannot allow the Horde to obtain the power found on this island. For the Alliance!